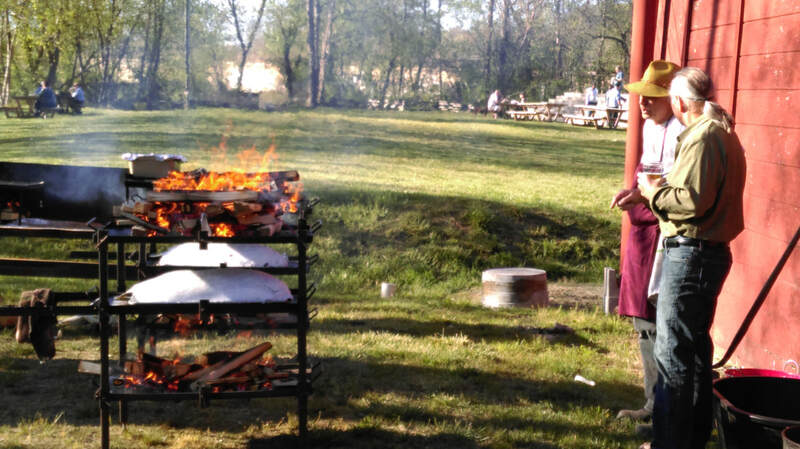 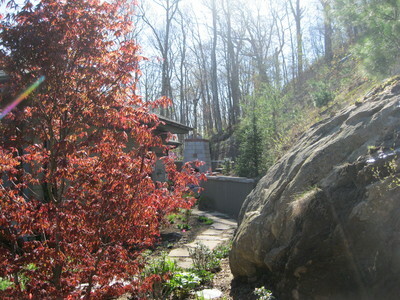 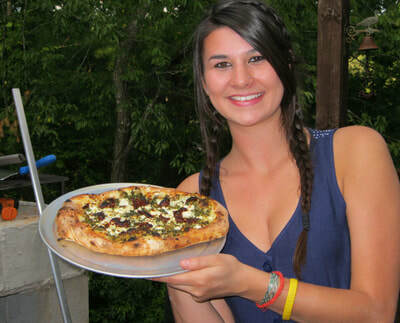 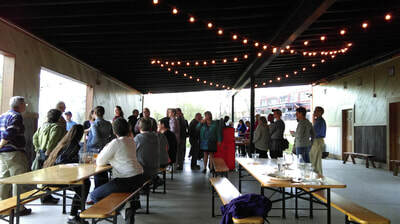 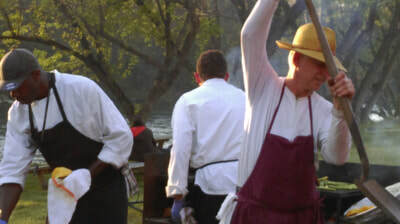 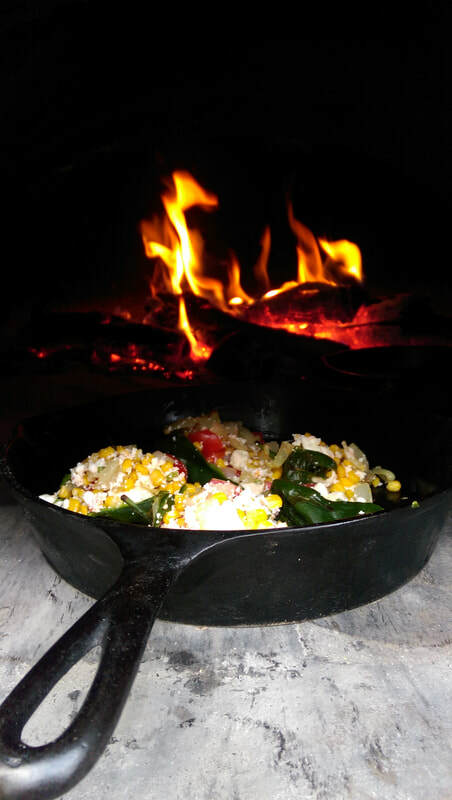 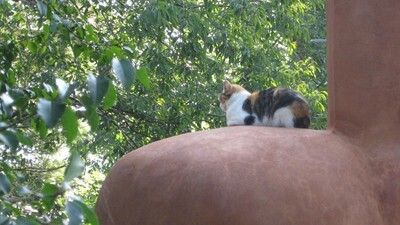 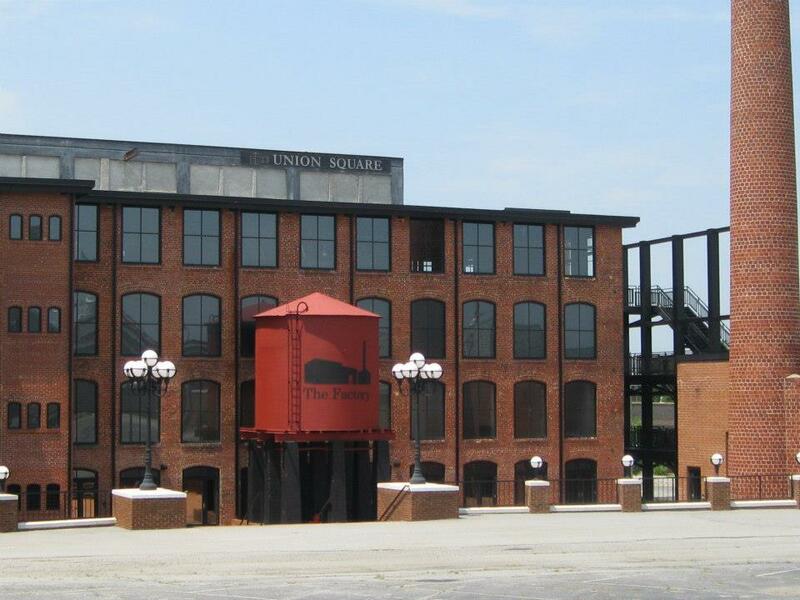 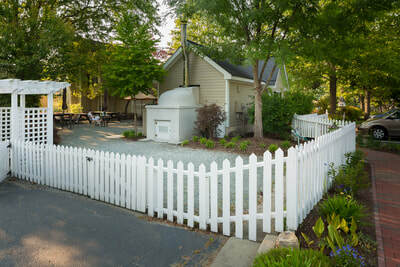 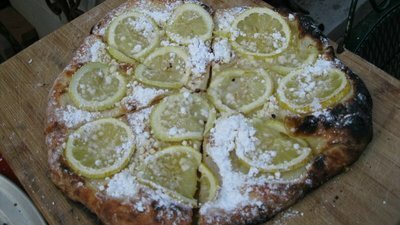 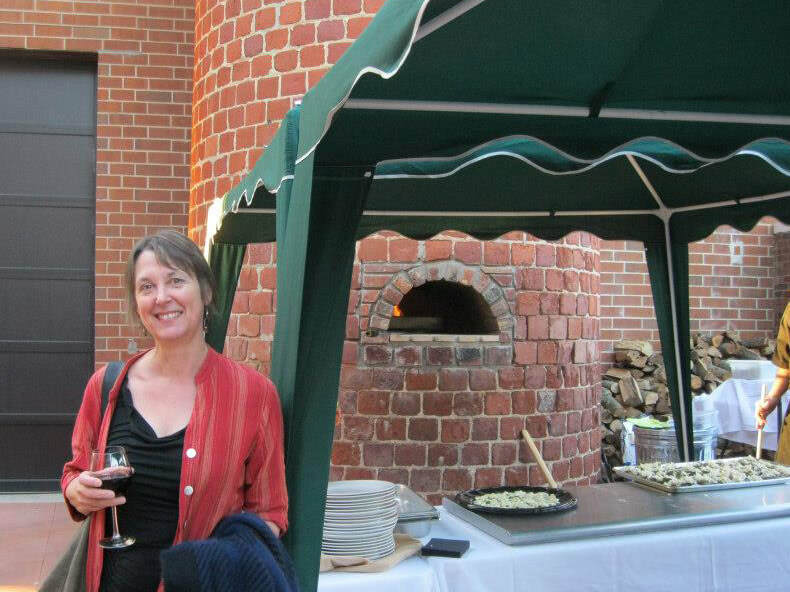 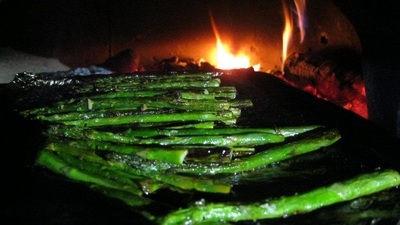 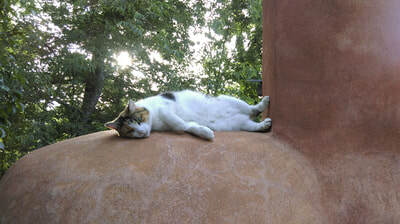 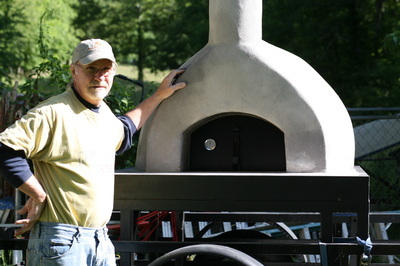 by The ARCH and Jim's Wood Fired Ovens. 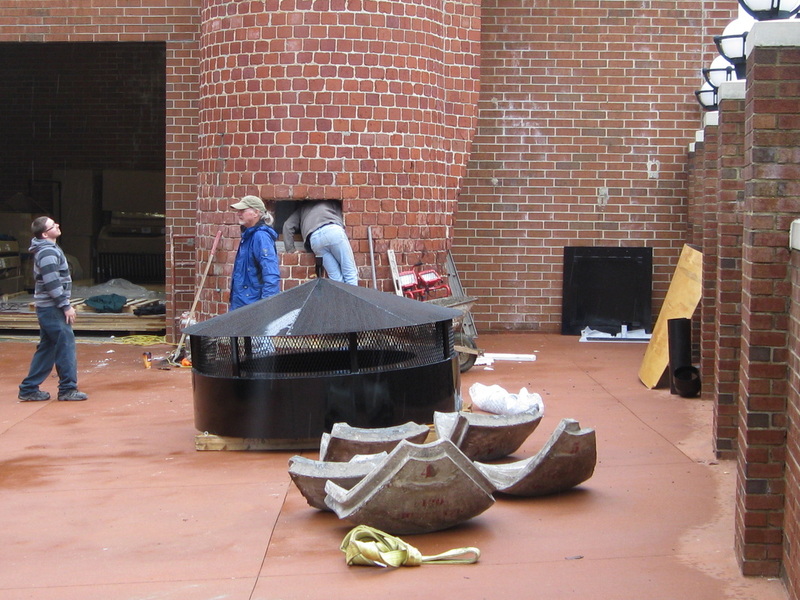 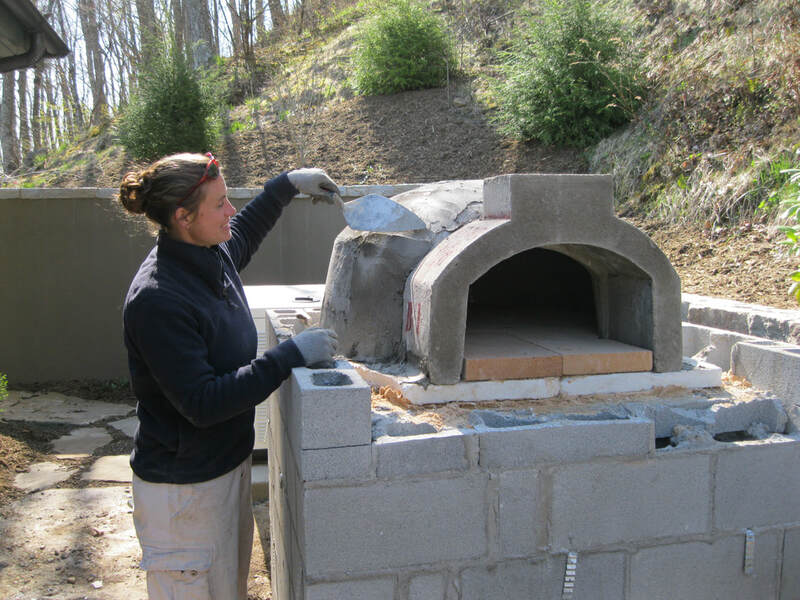 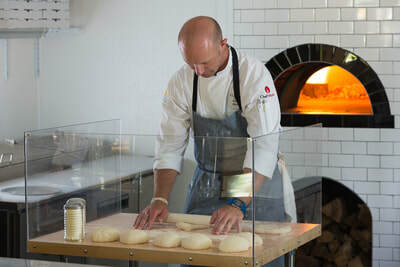 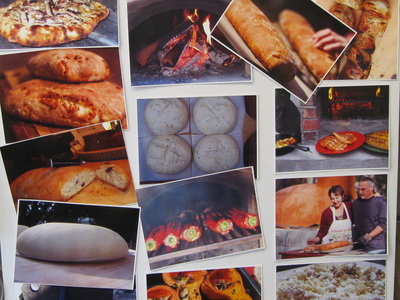 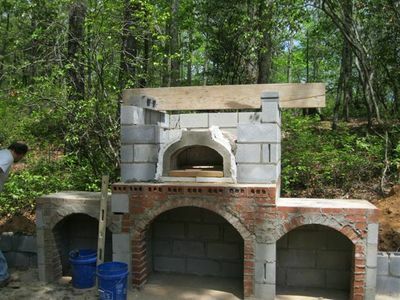 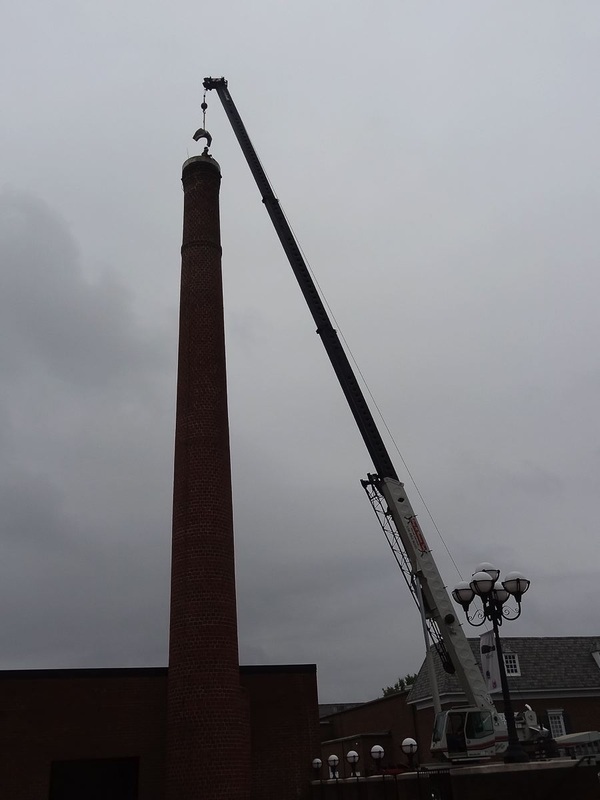 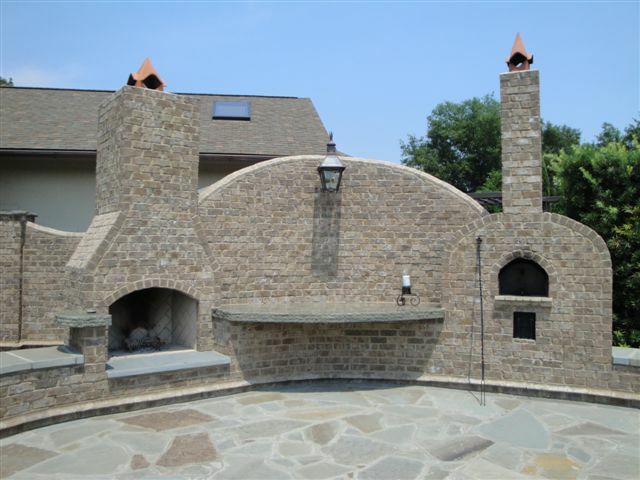 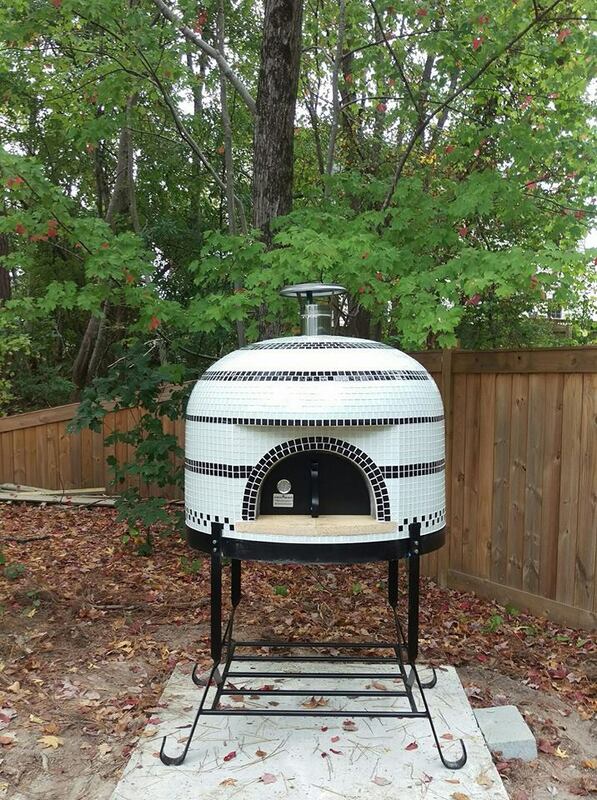 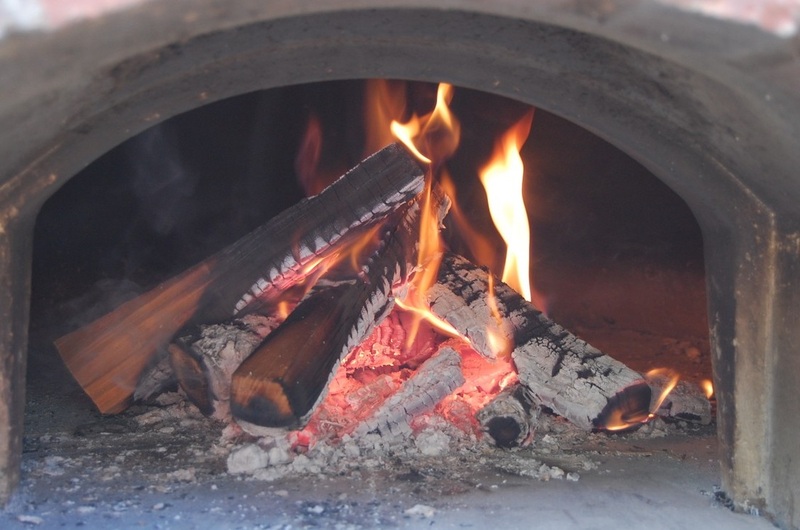 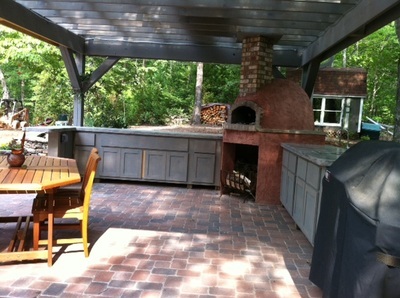 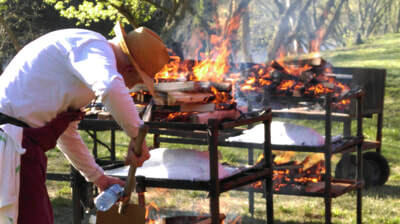 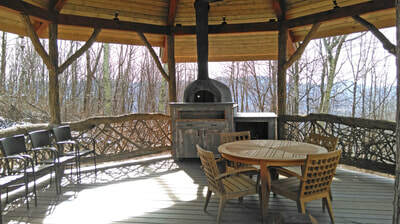 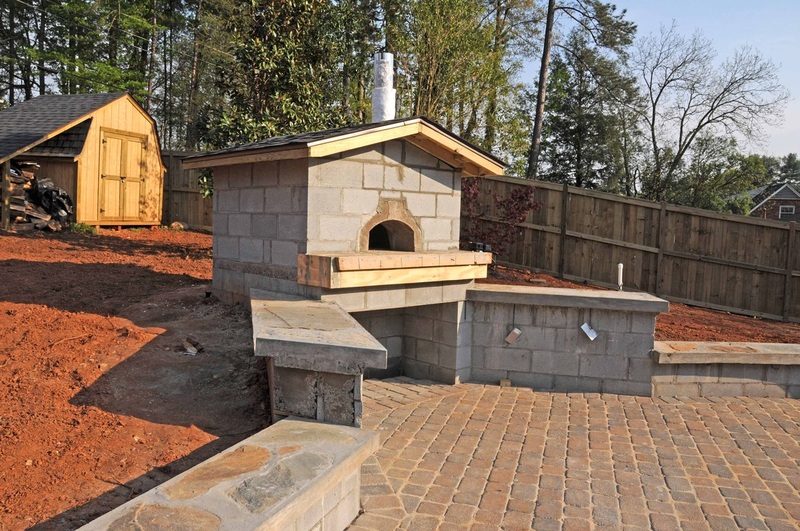 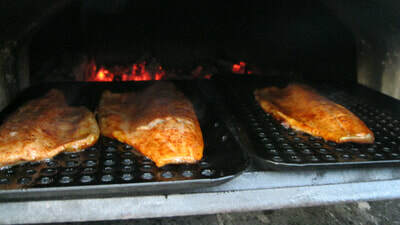 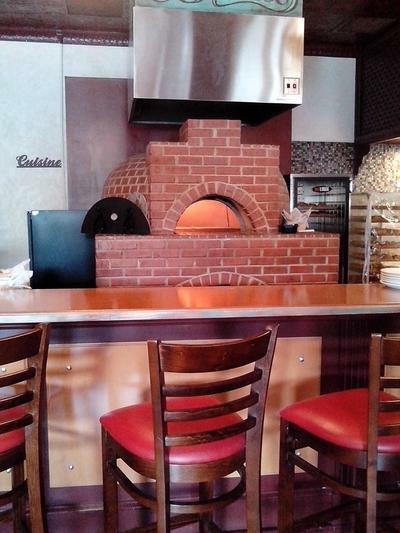 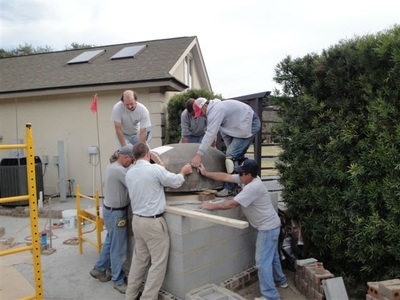 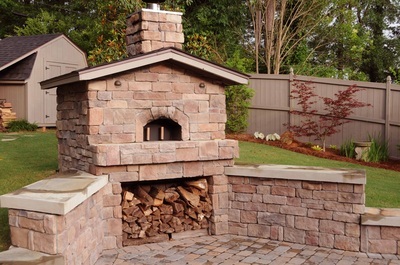 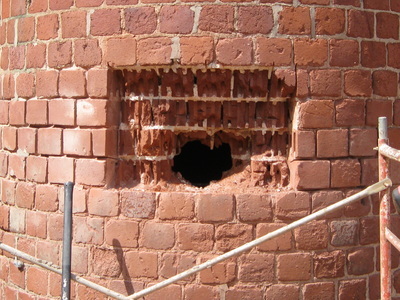 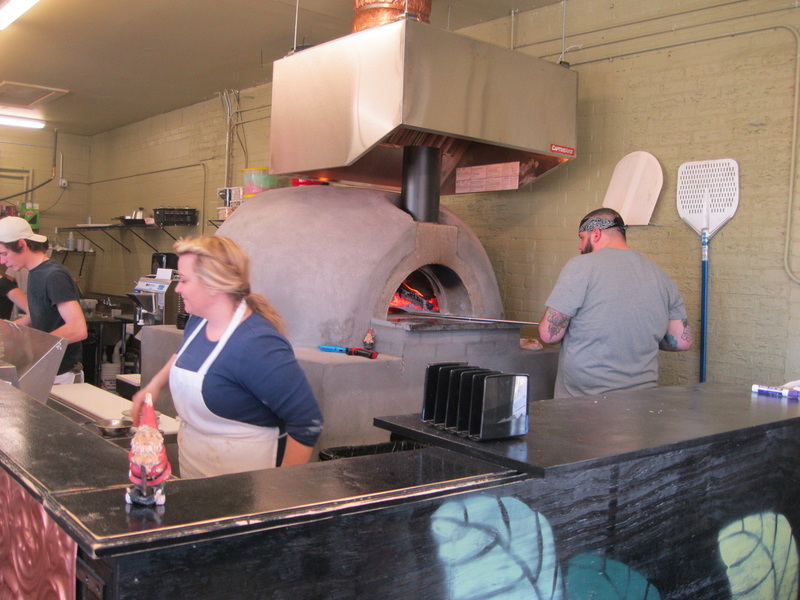 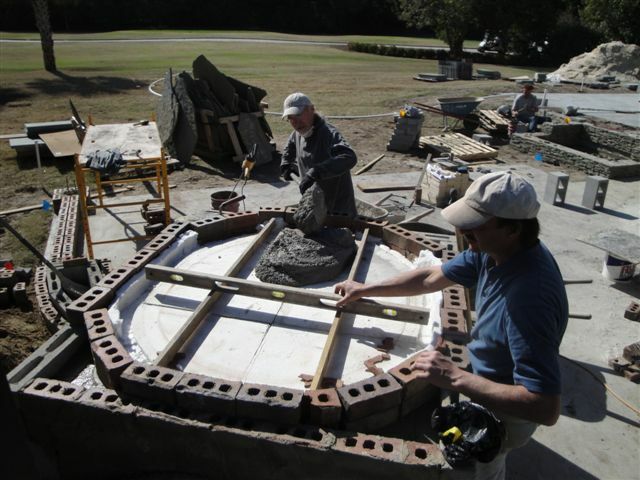 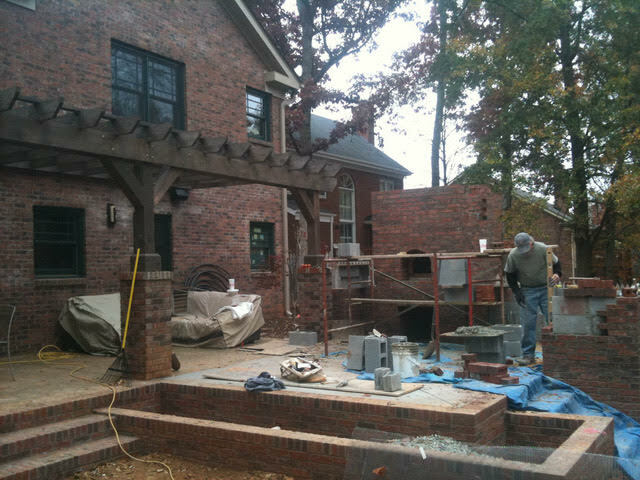 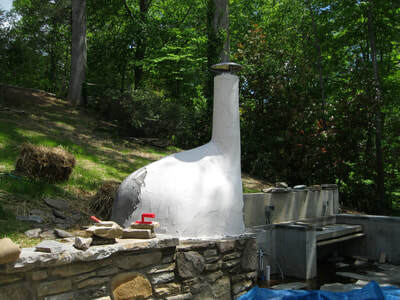 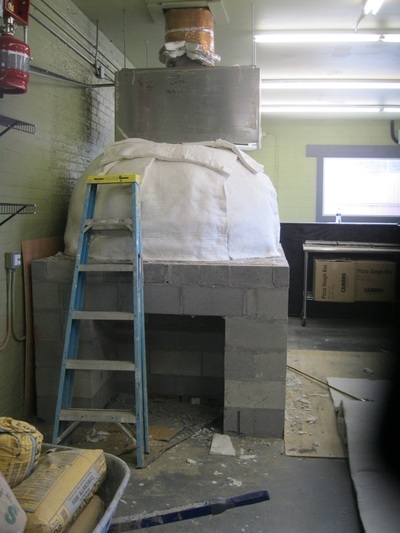 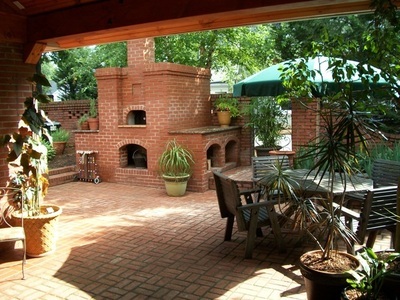 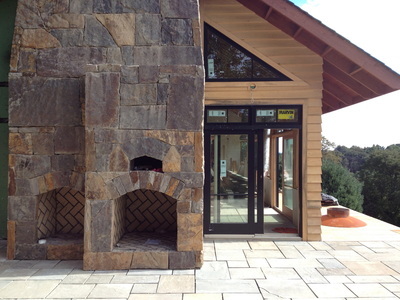 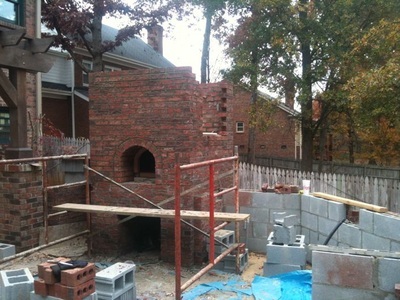 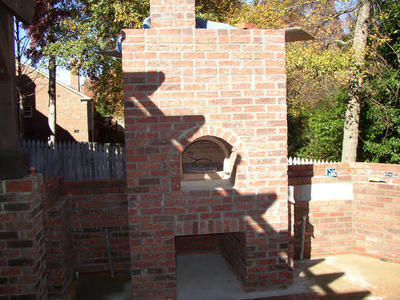 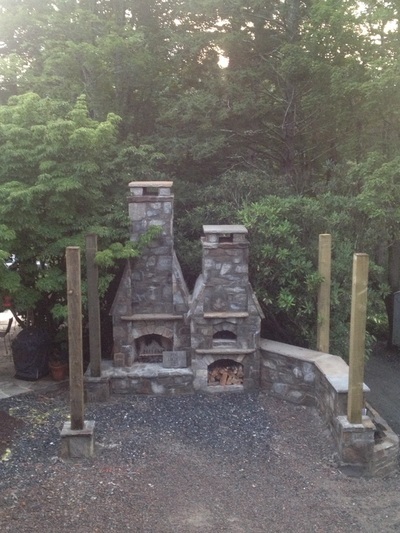 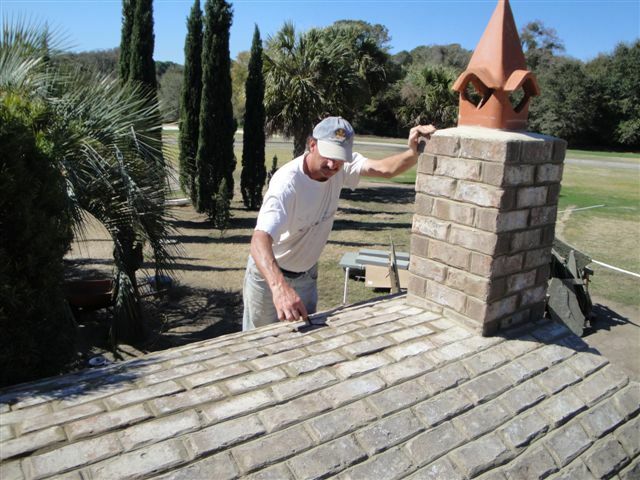 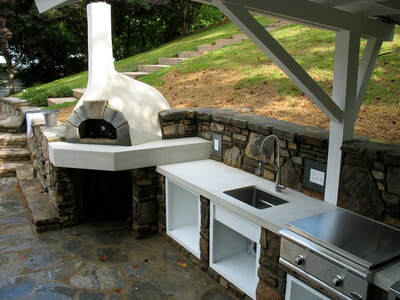 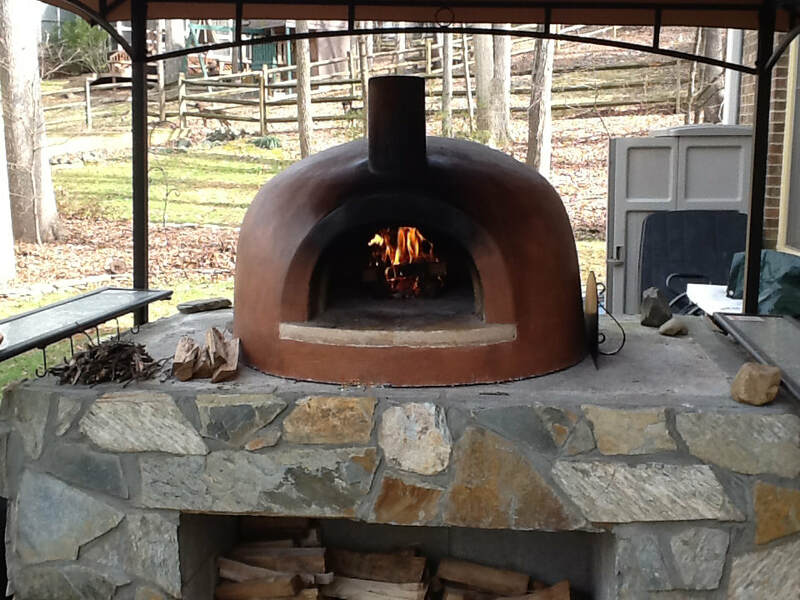 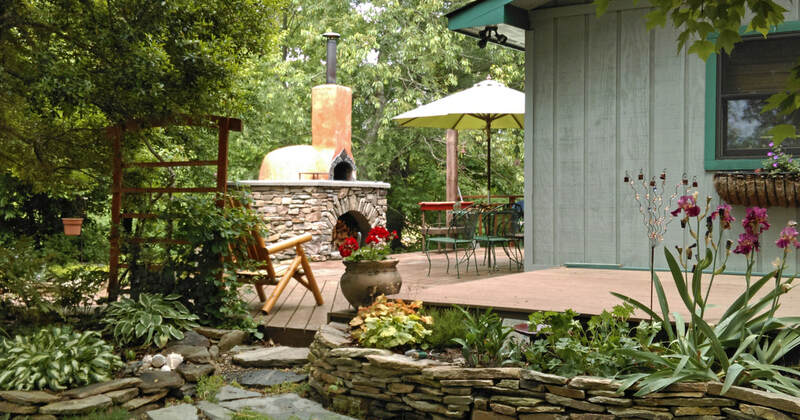 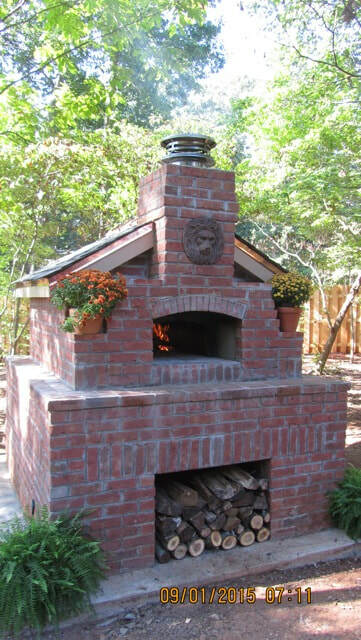 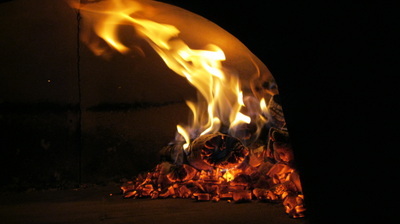 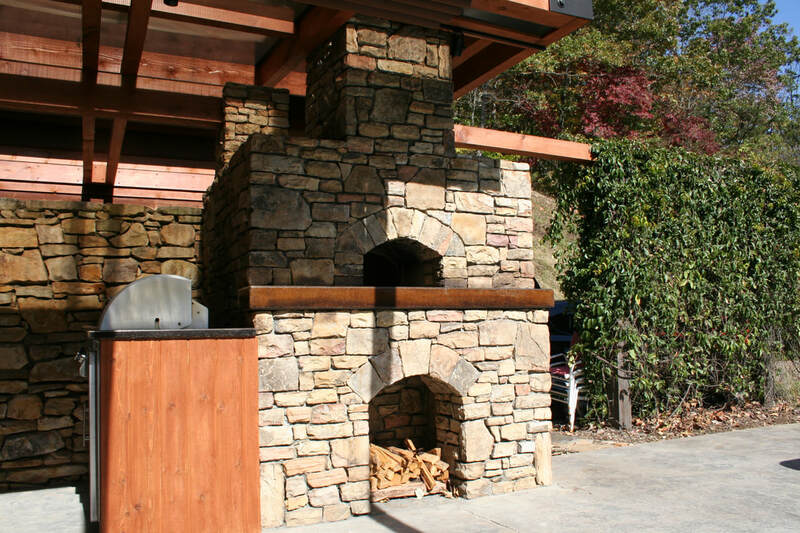 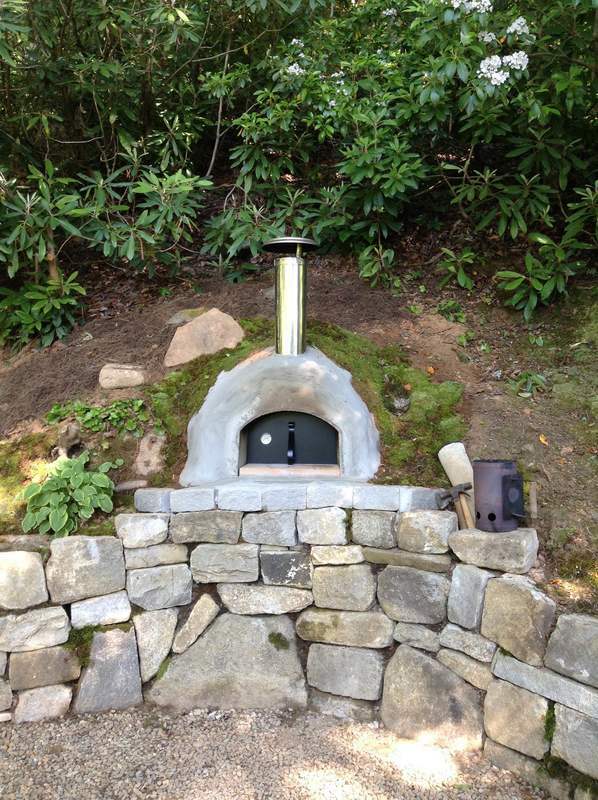 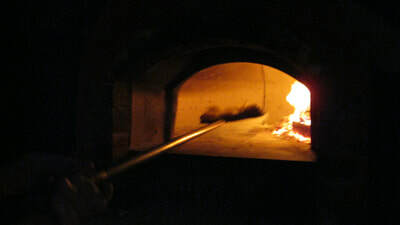 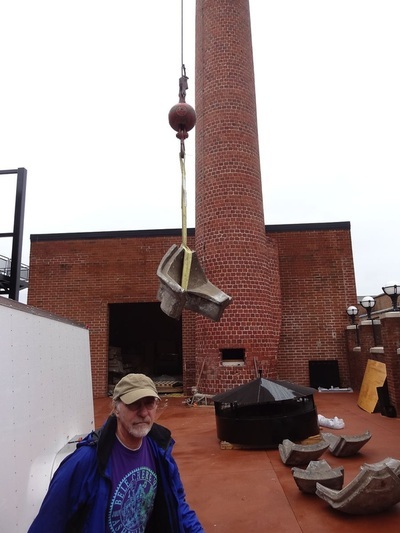 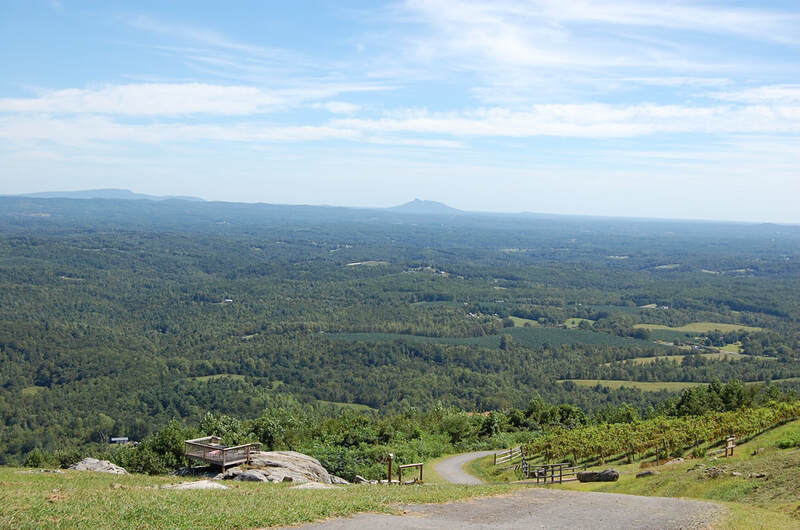 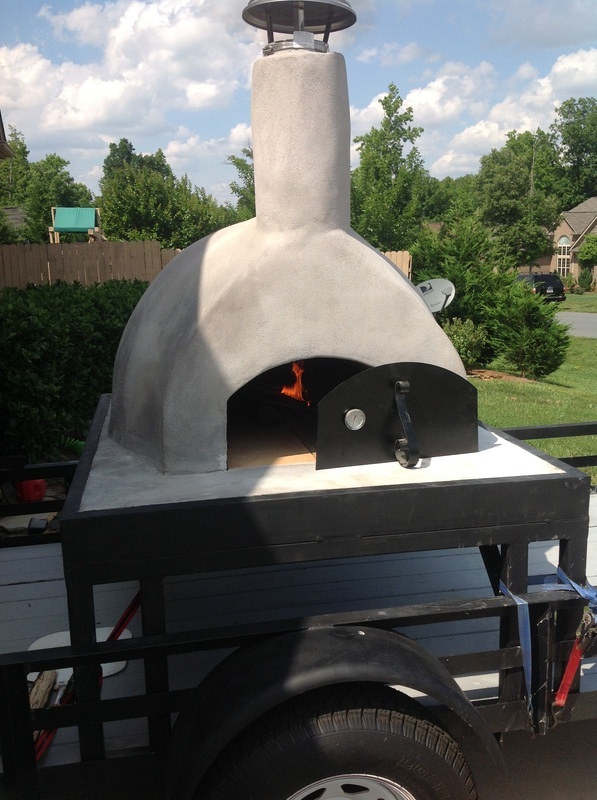 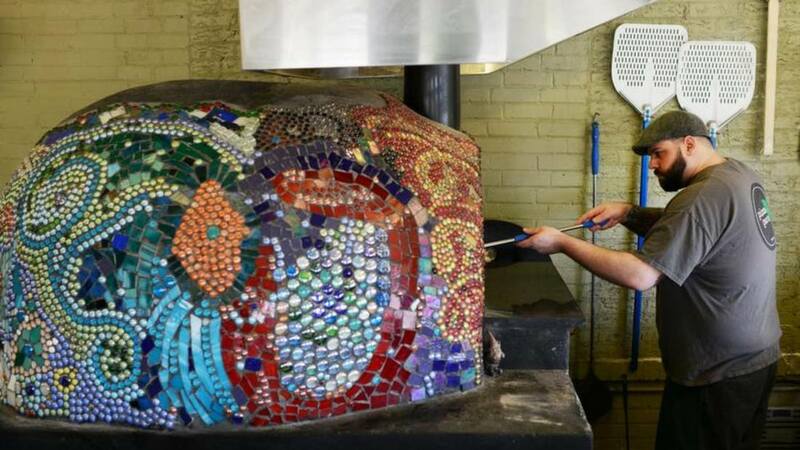 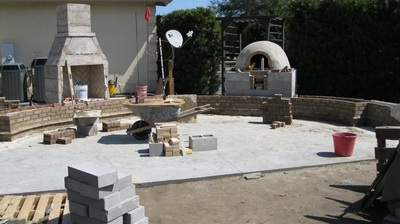 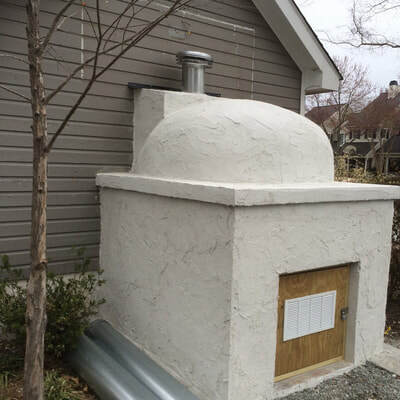 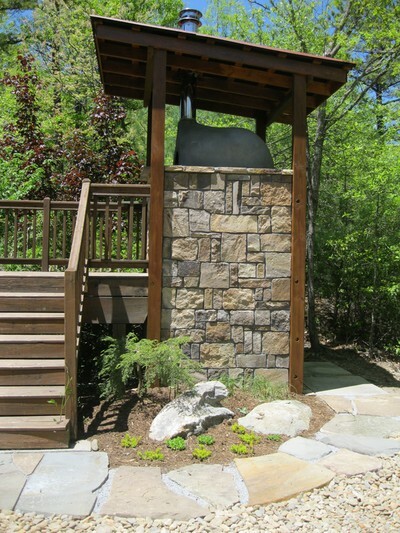 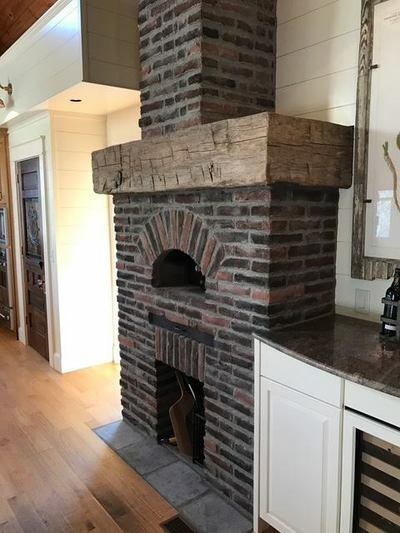 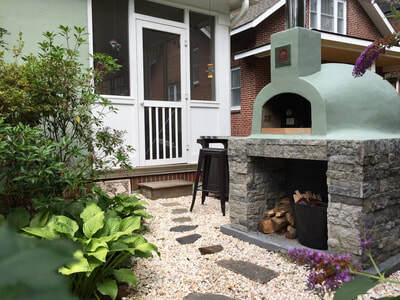 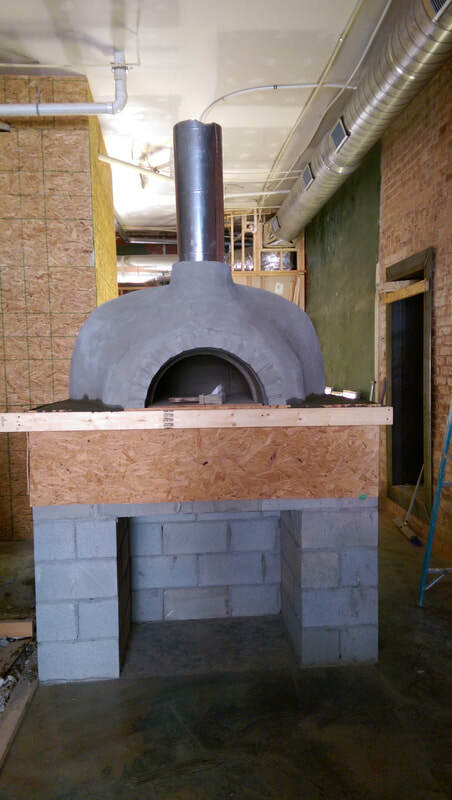 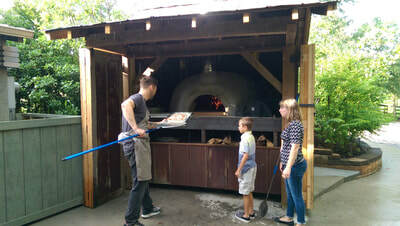 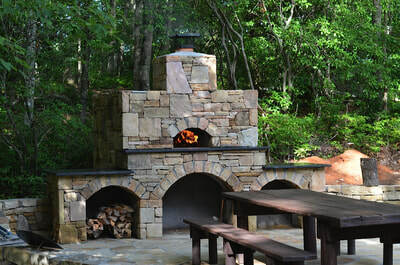 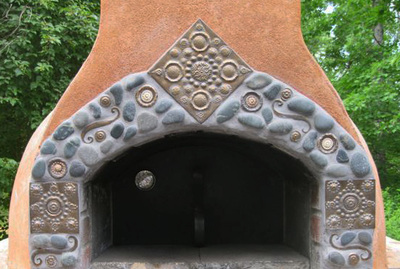 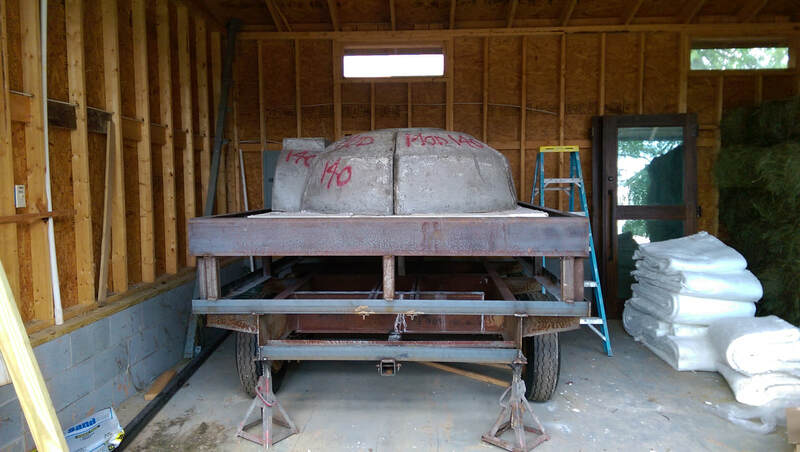 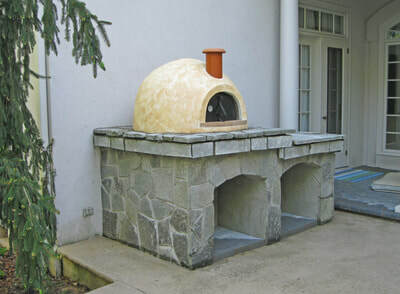 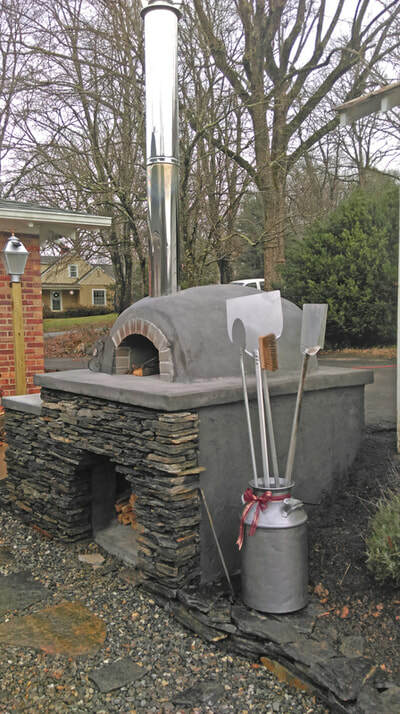 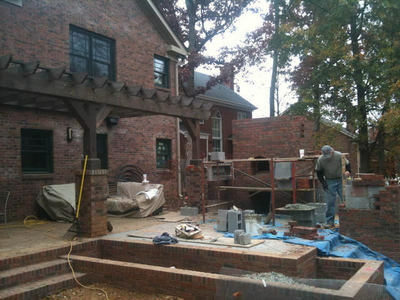 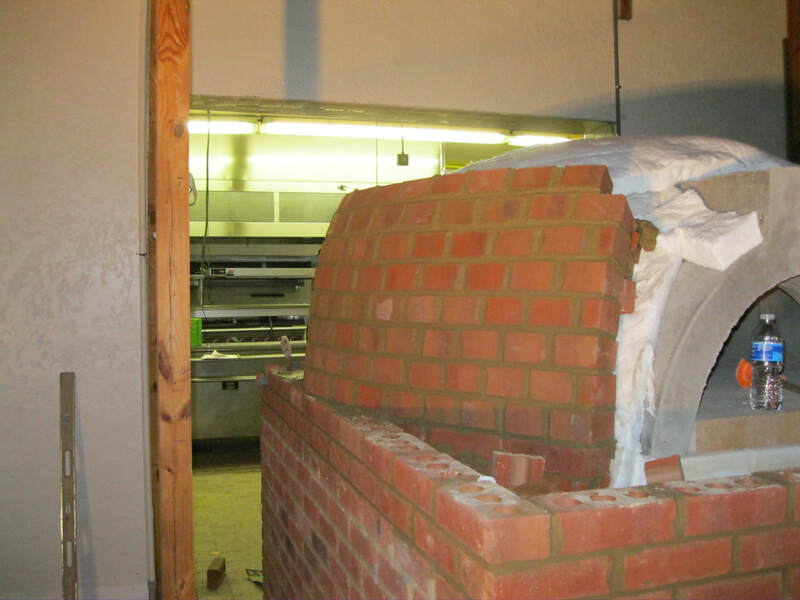 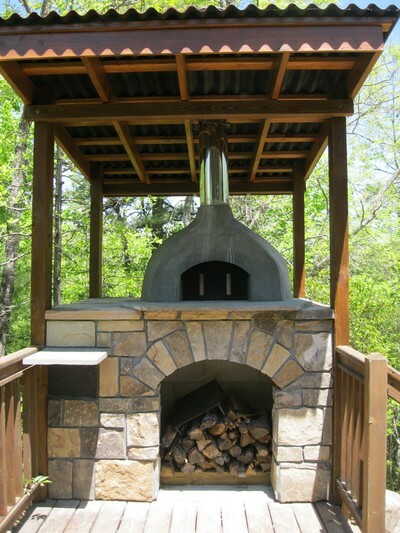 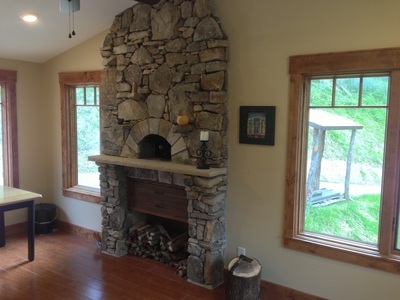 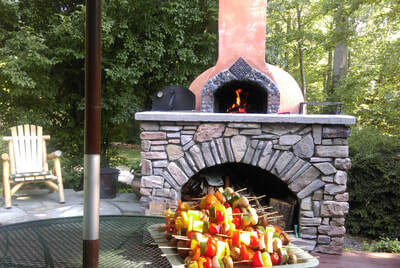 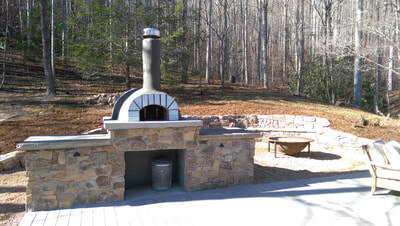 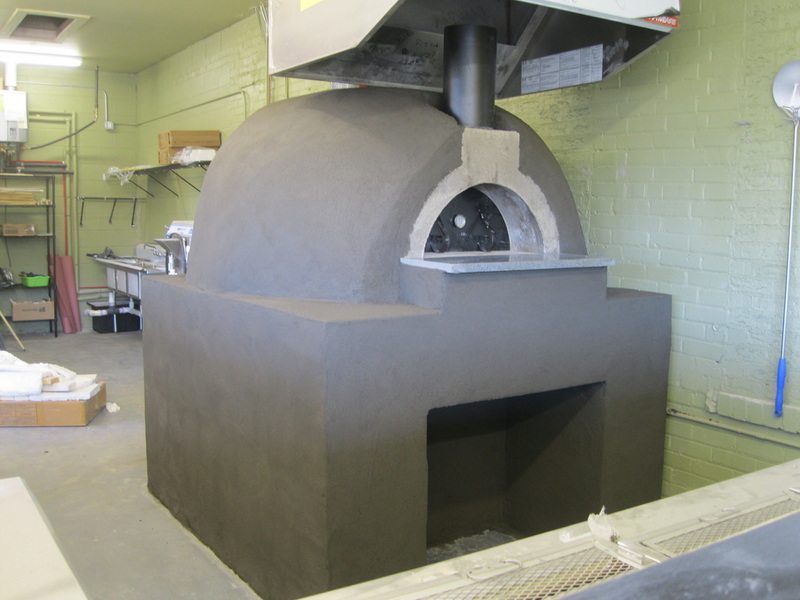 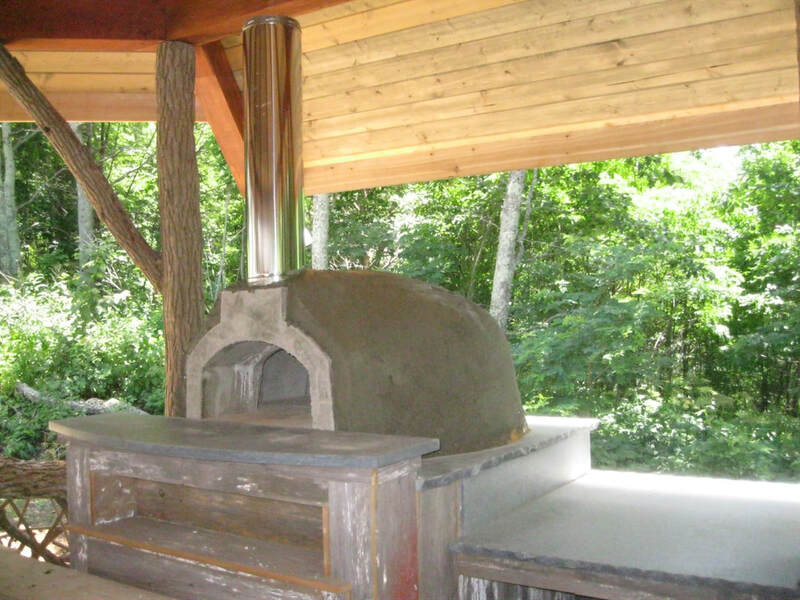 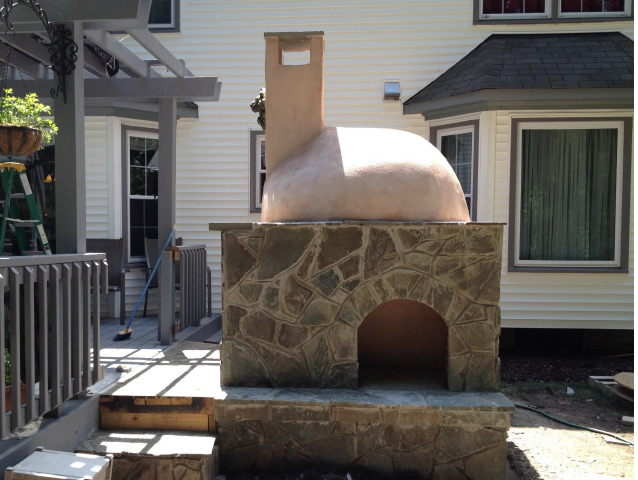 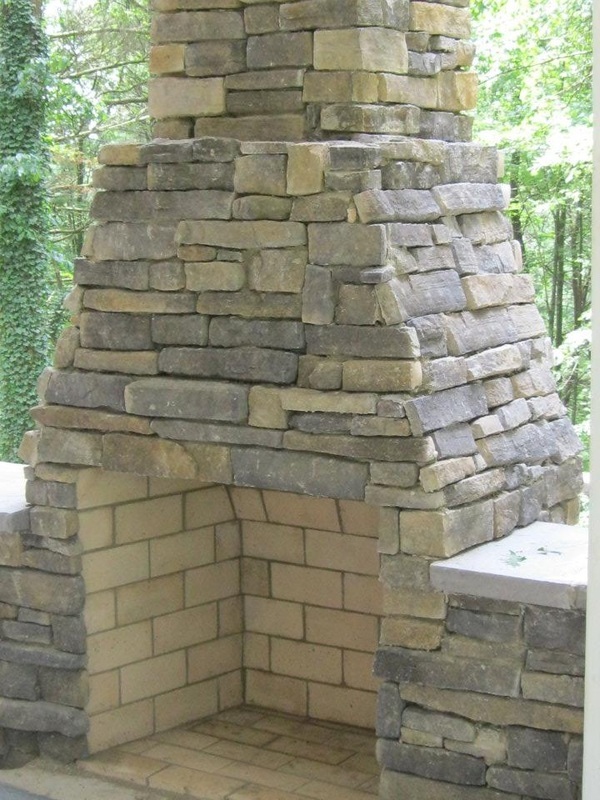 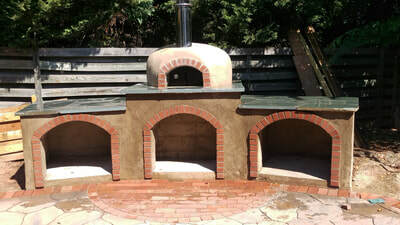 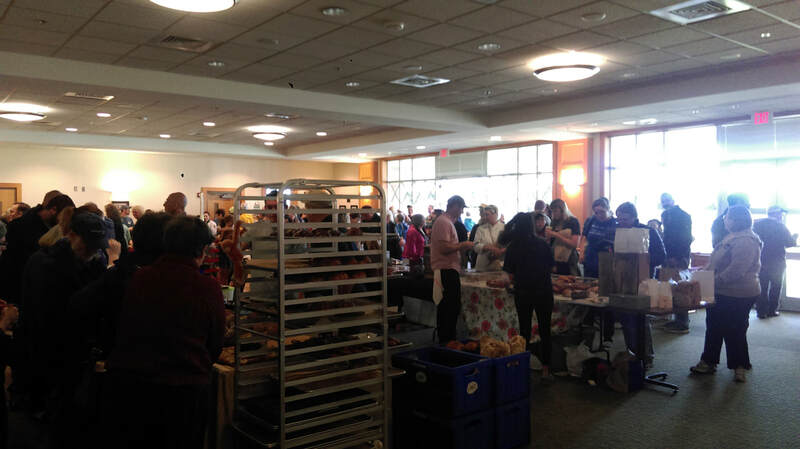 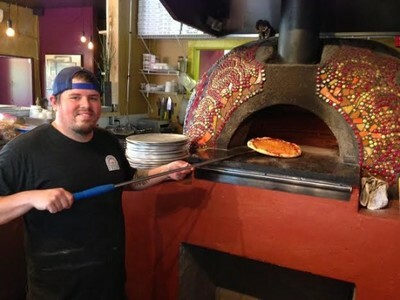 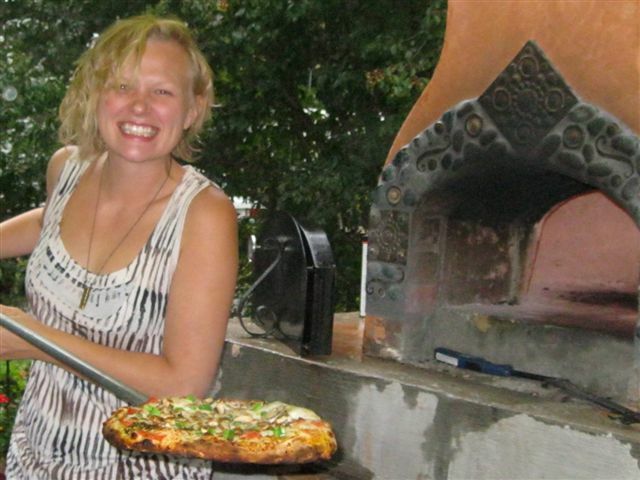 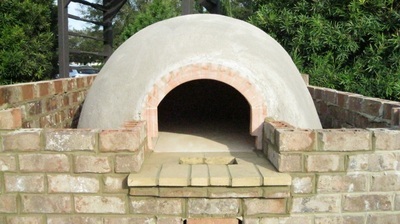 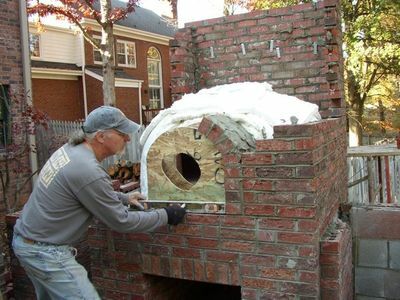 Most of these ovens are the work of Jim Erskine, while many are collaborations with homeowners, businesses and contractors. 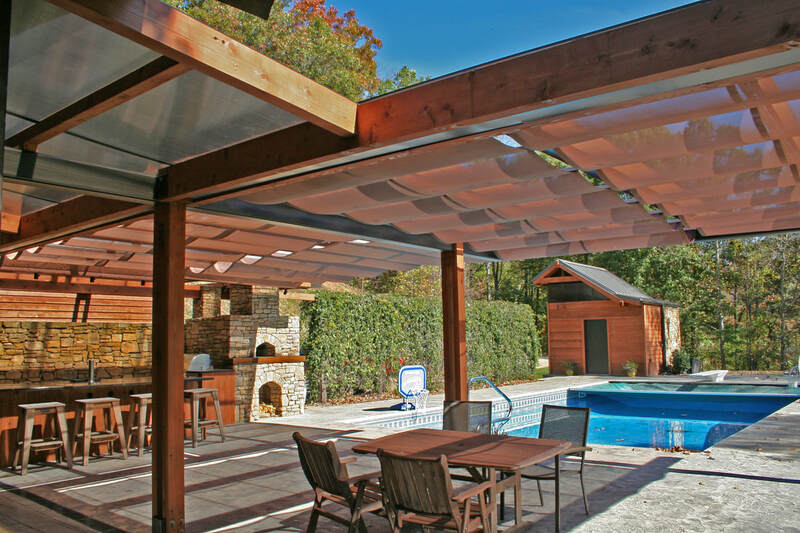 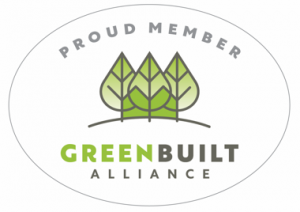 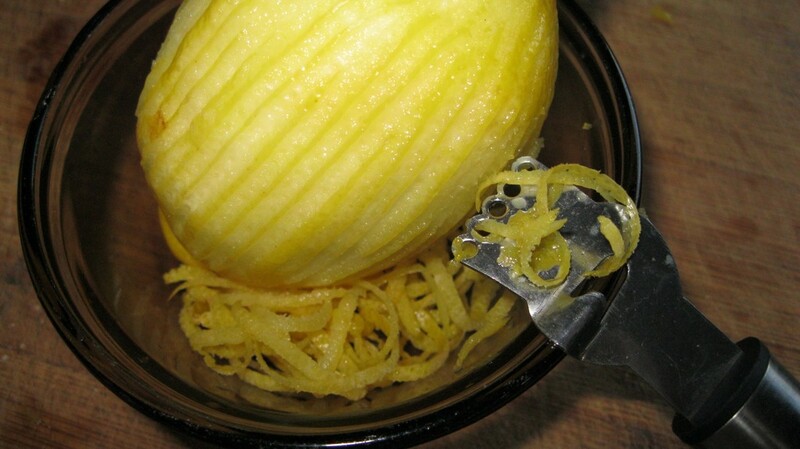 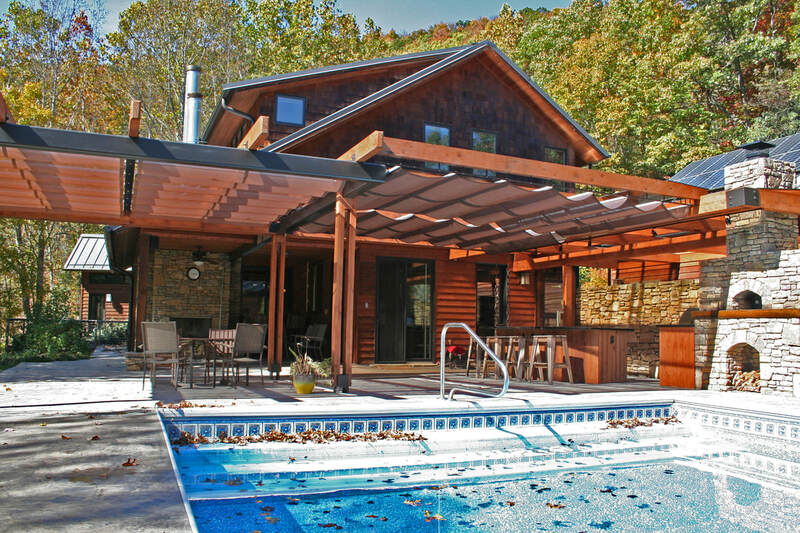 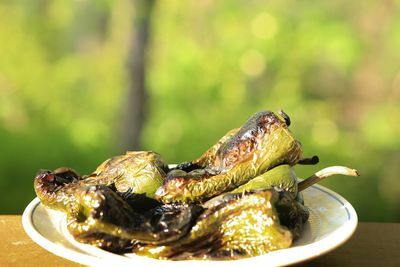 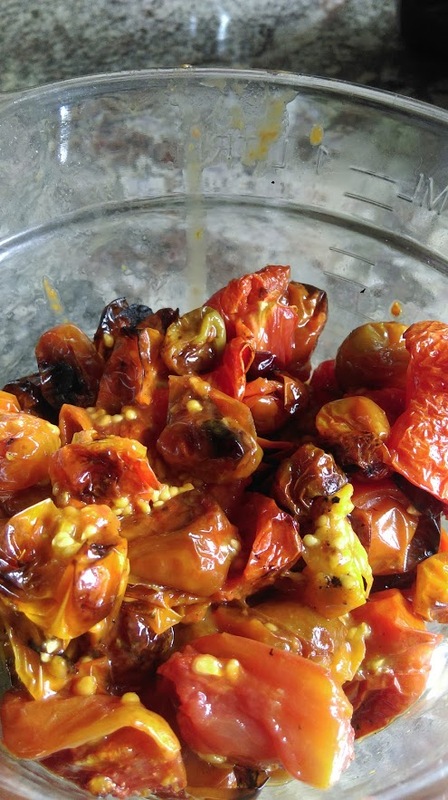 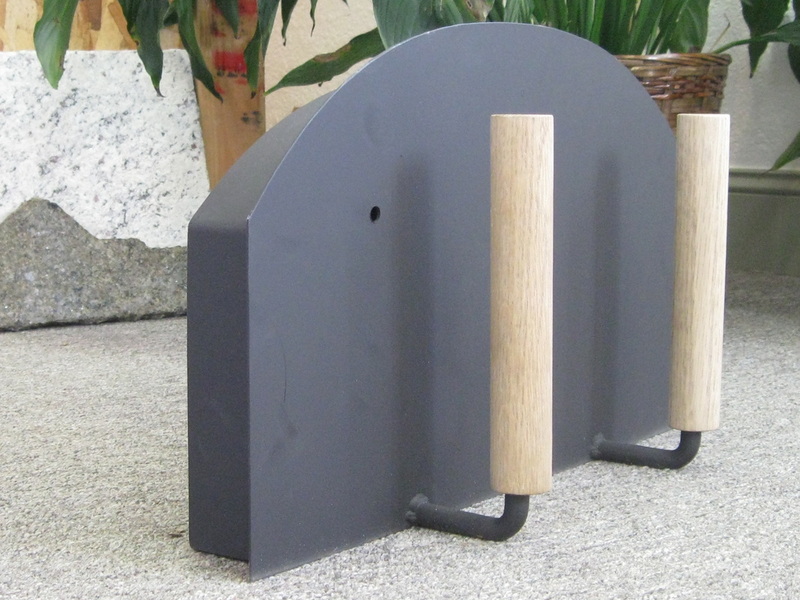 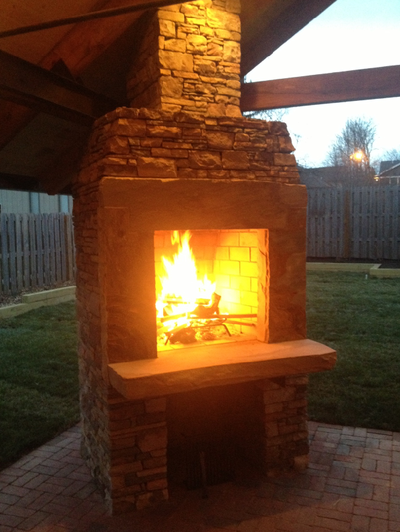 A handful of these projects are the amazing work of our customers. 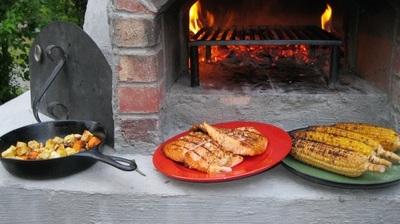 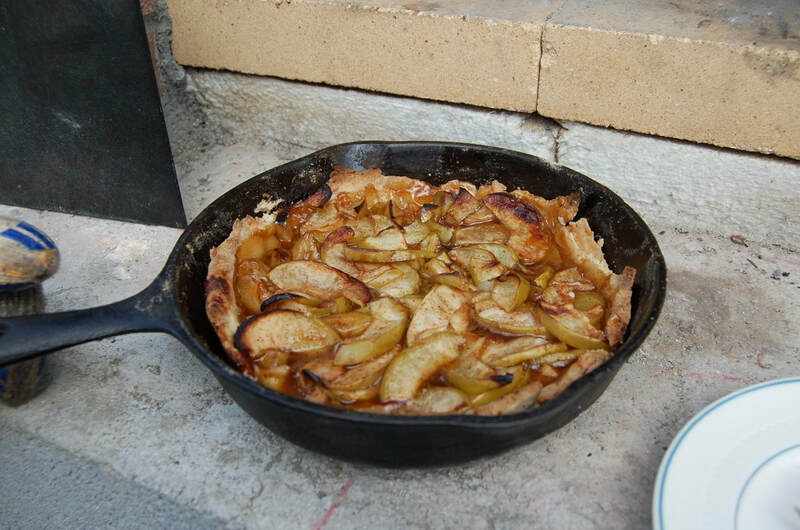 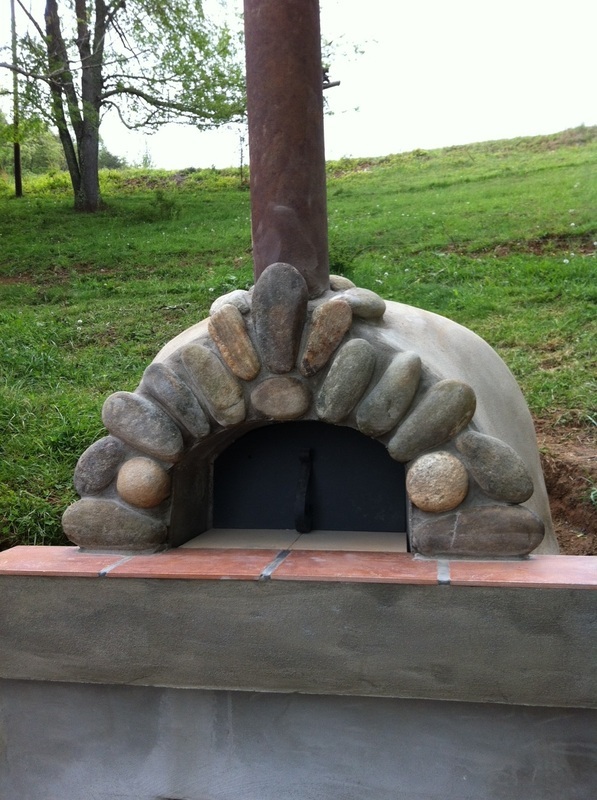 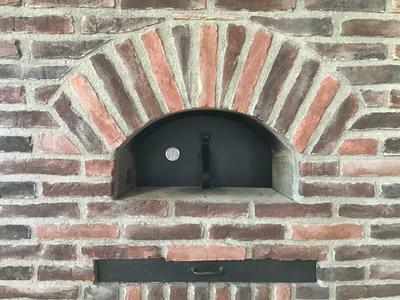 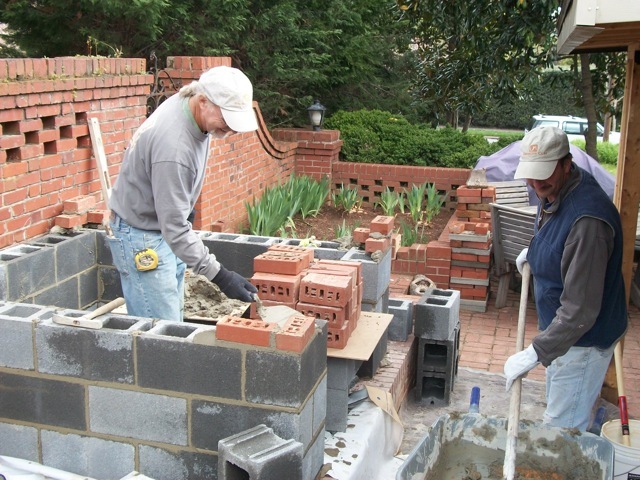 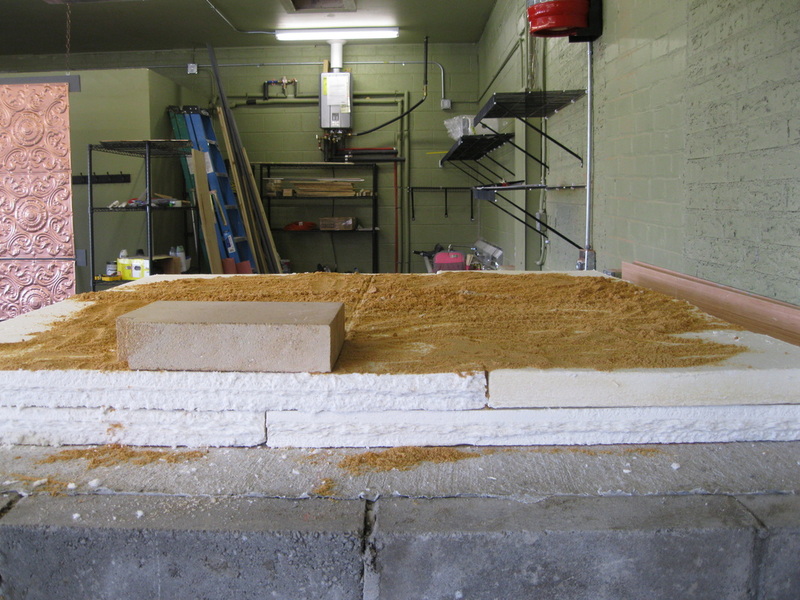 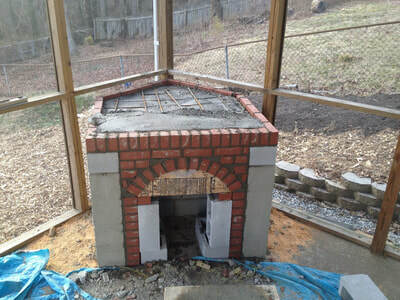 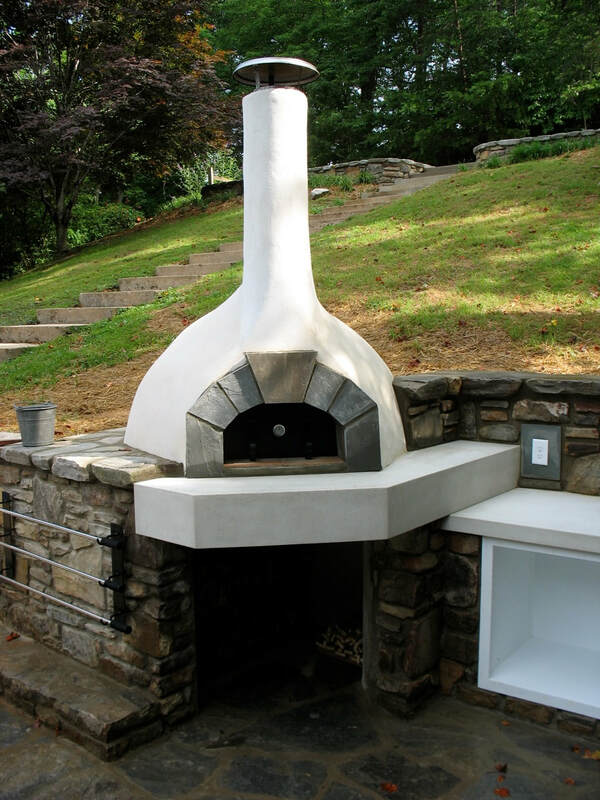 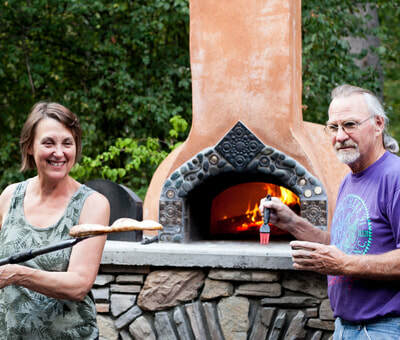 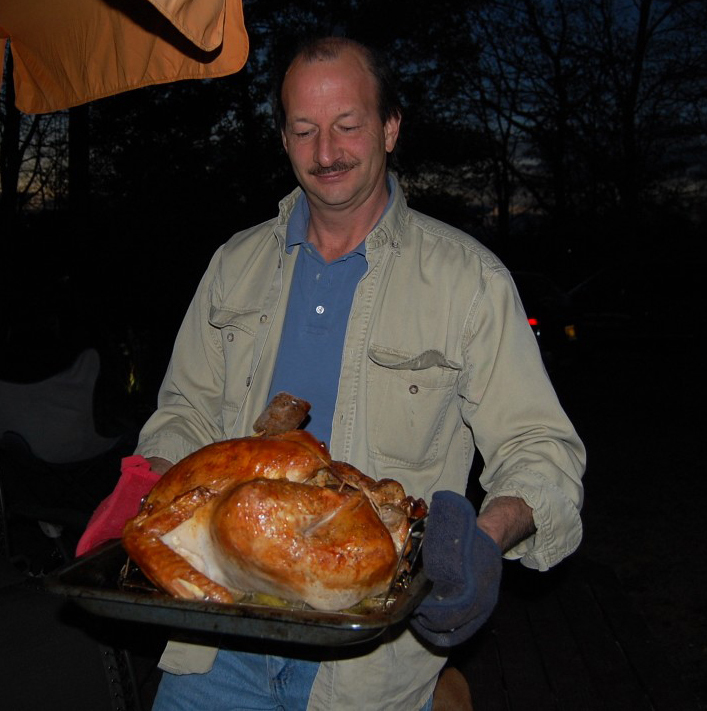 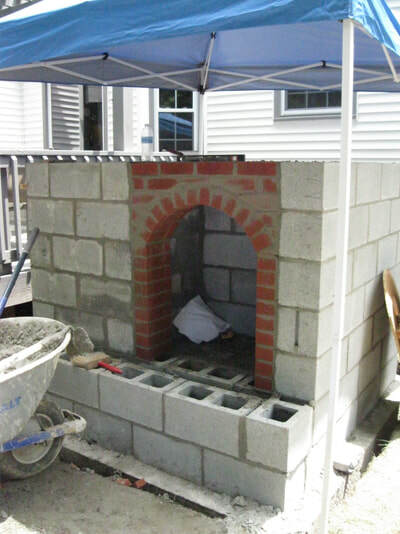 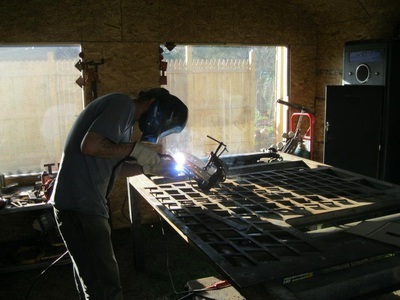 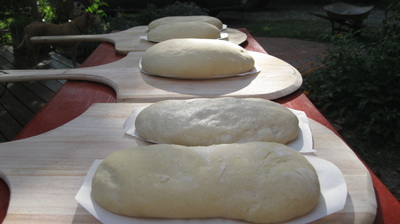 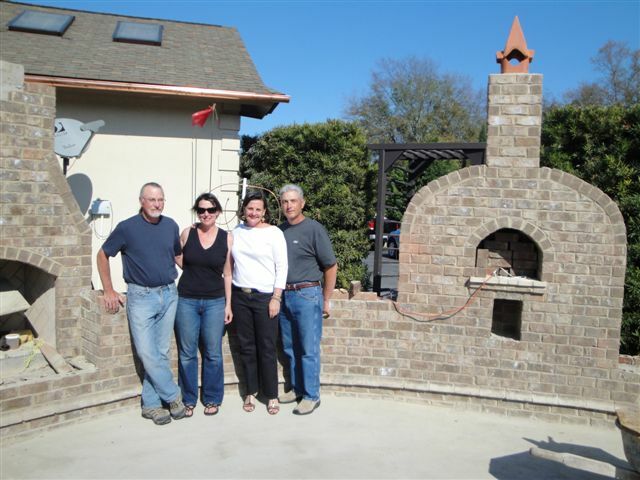 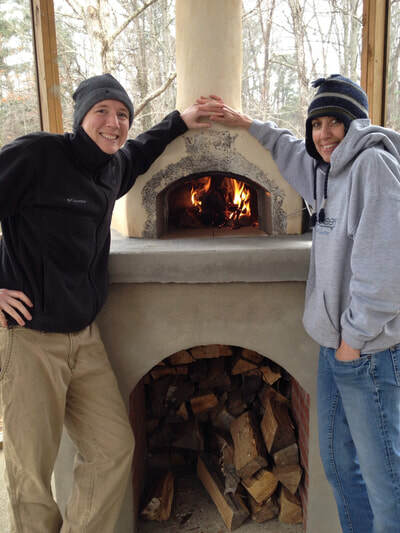 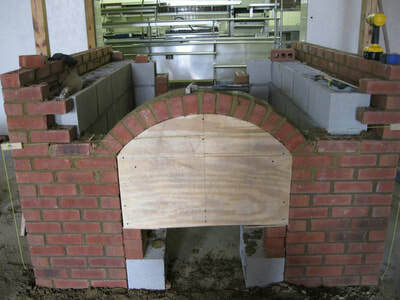 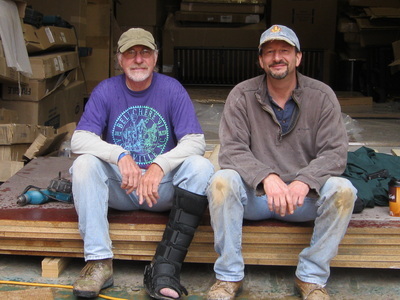 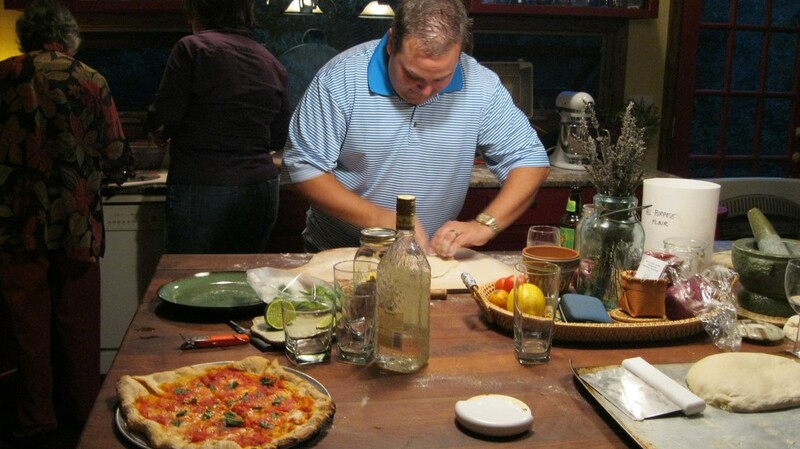 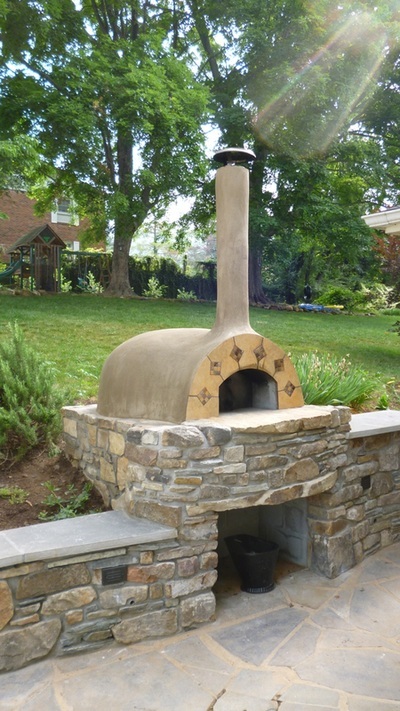 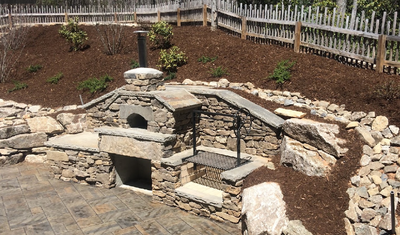 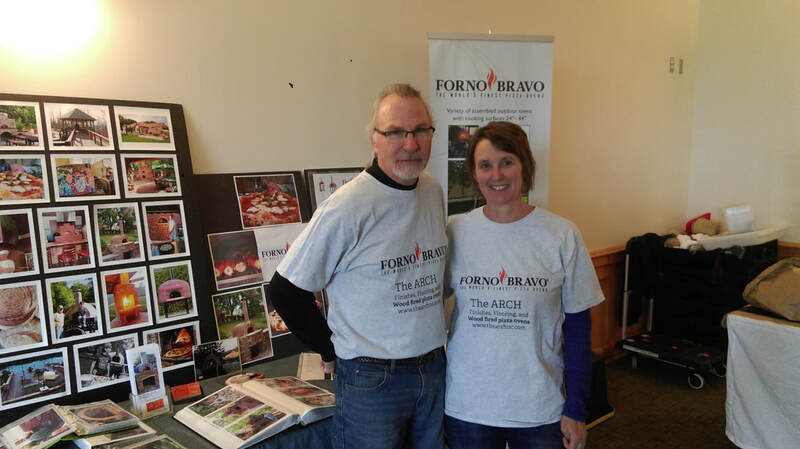 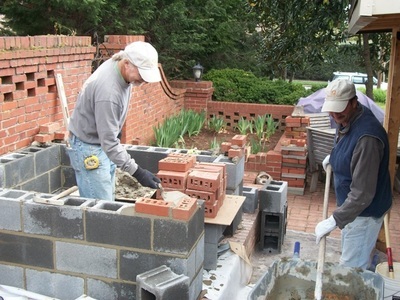 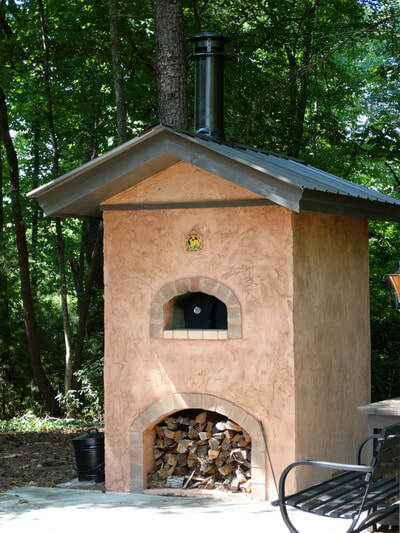 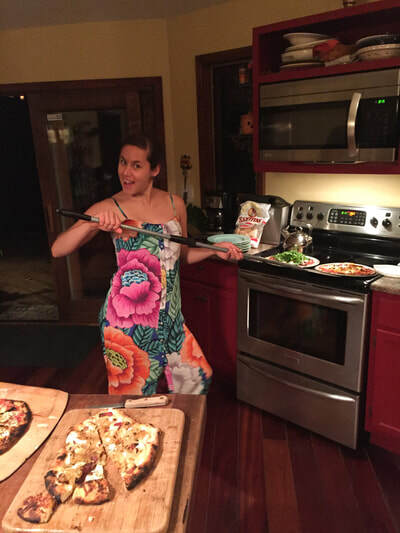 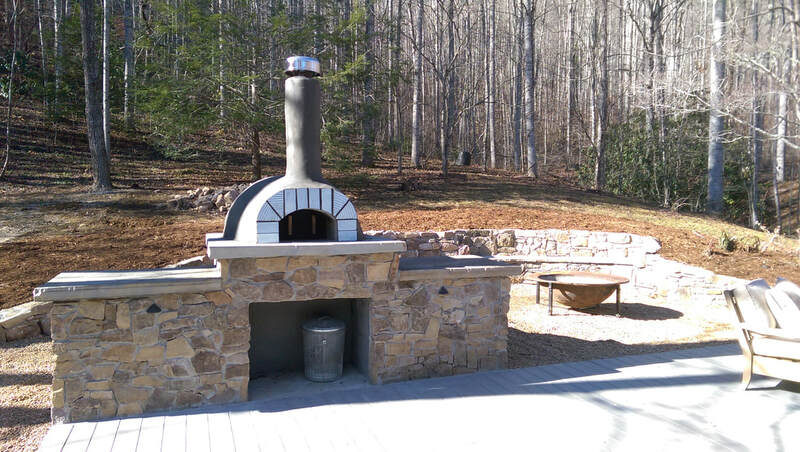 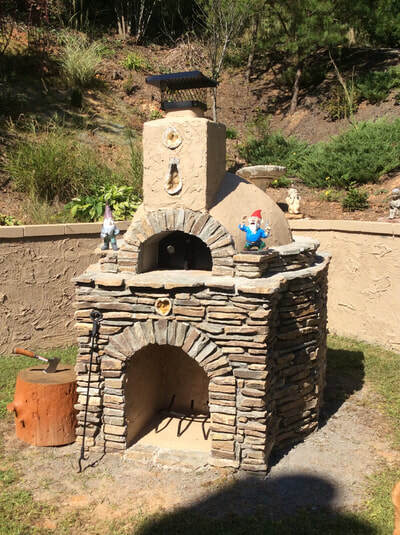 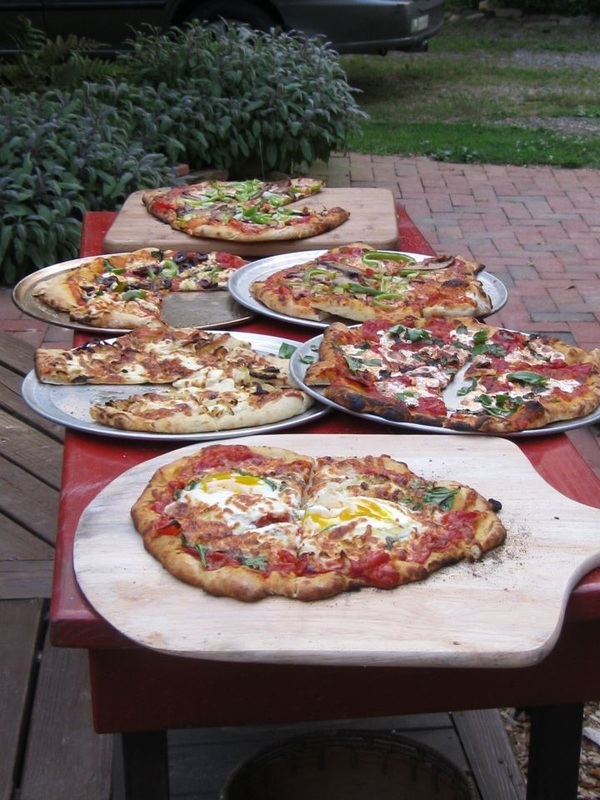 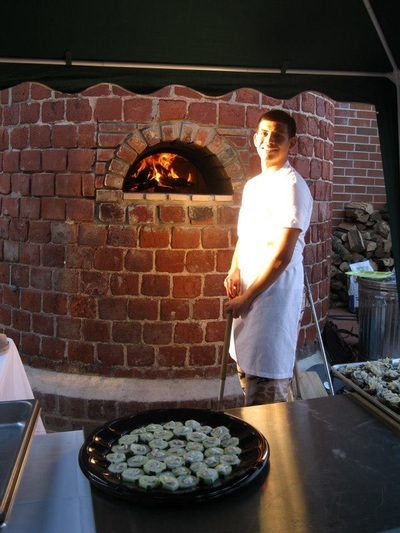 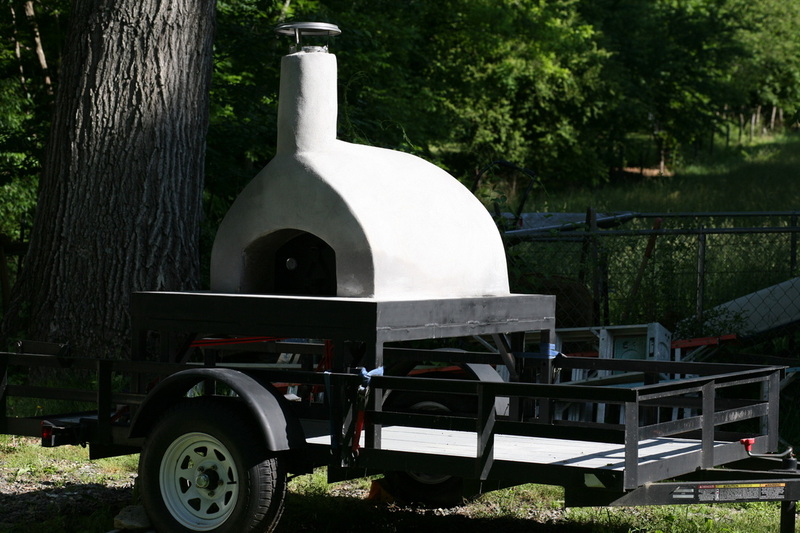 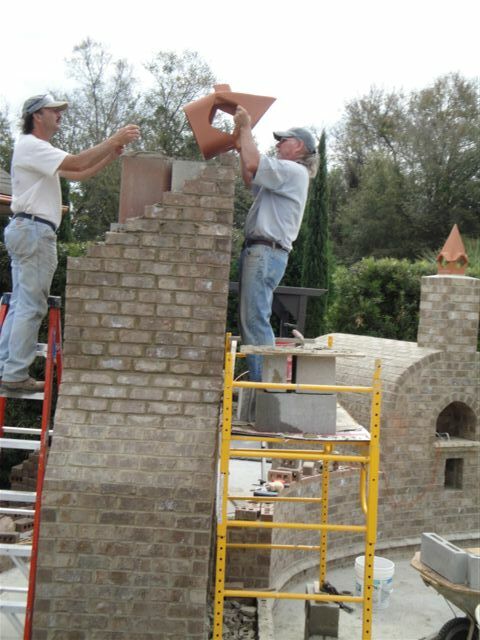 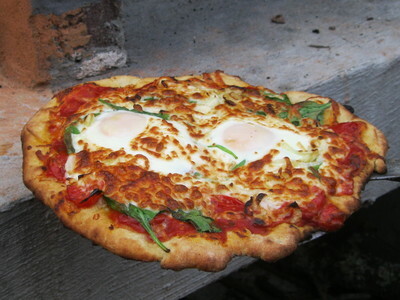 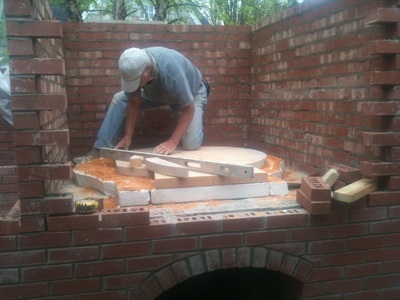 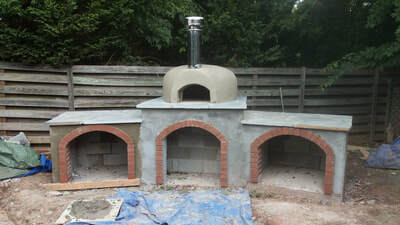 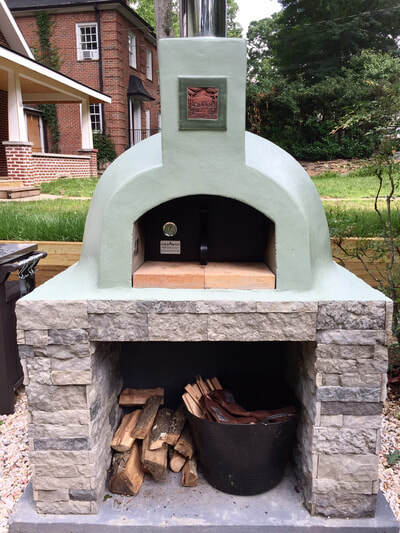 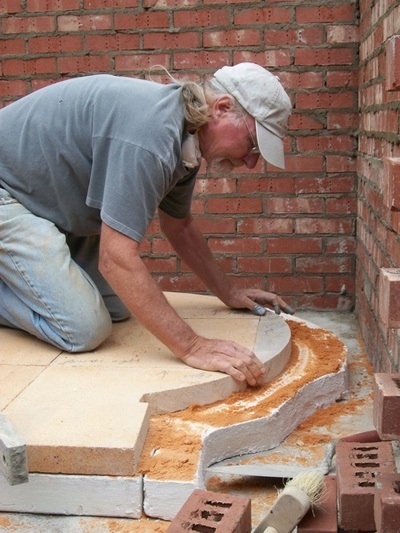 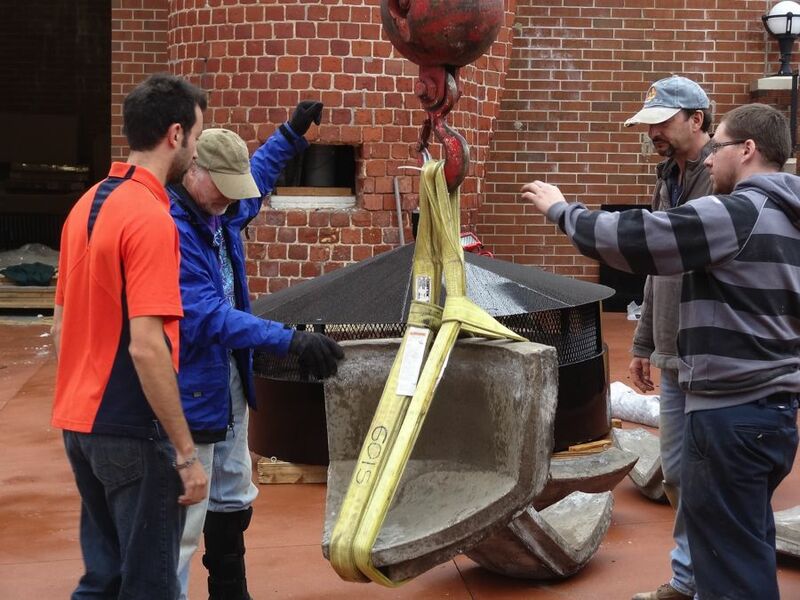 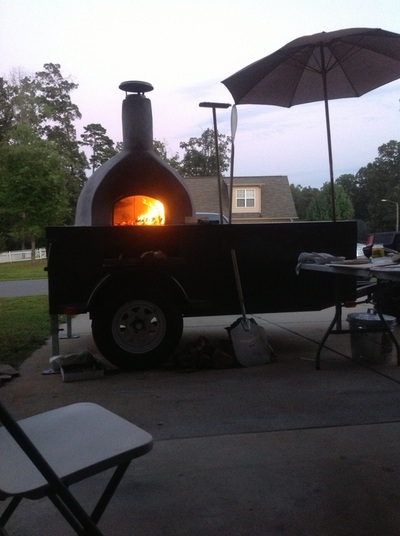 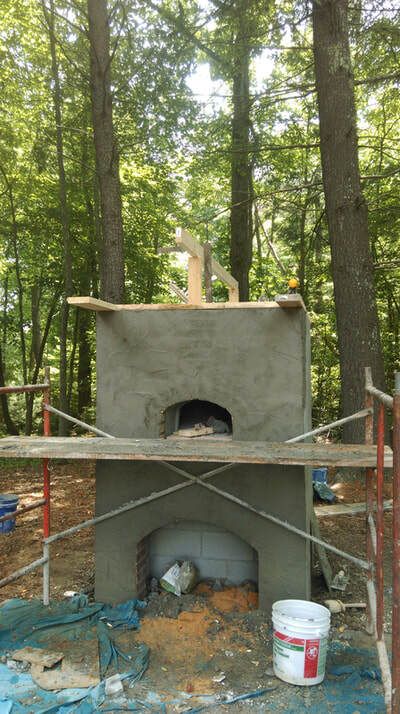 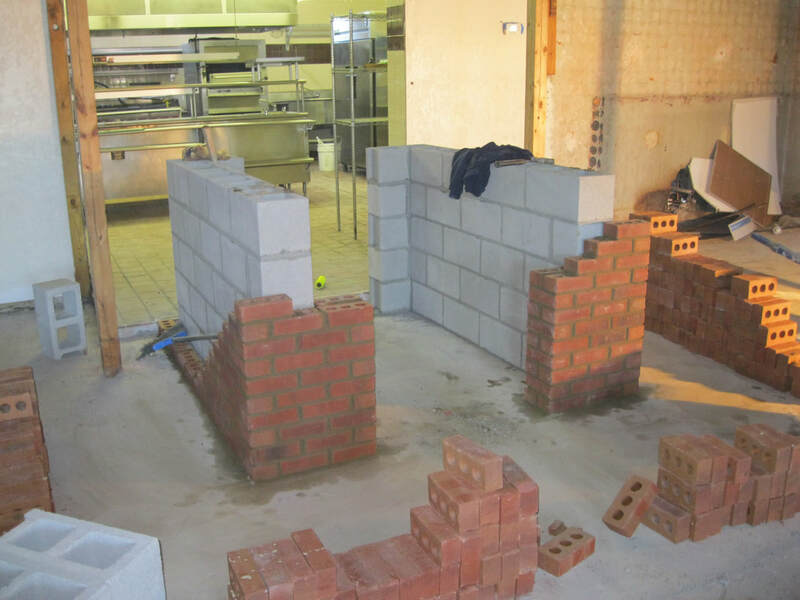 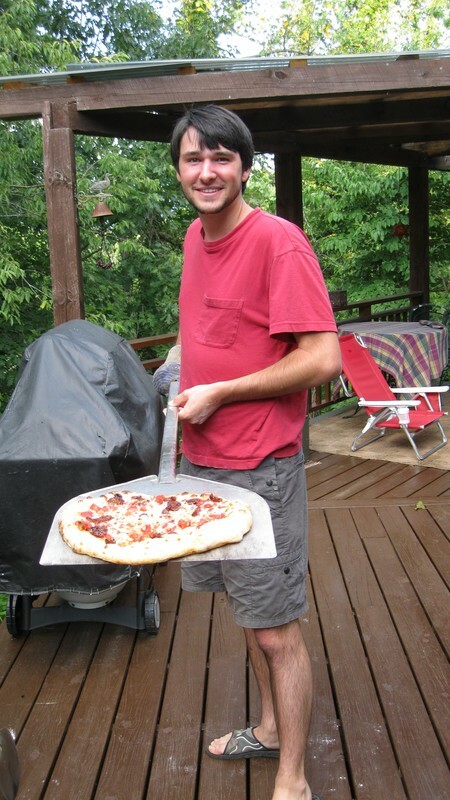 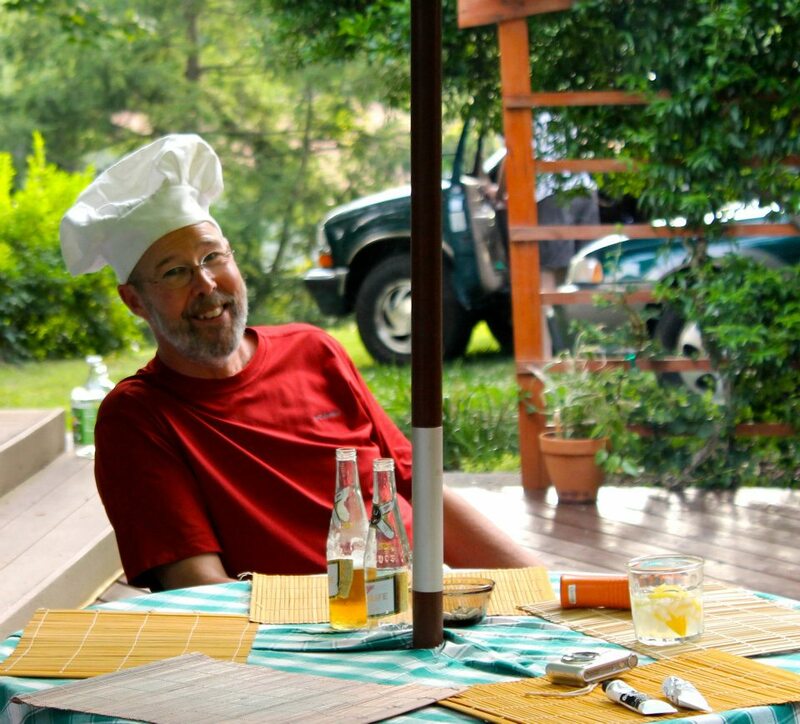 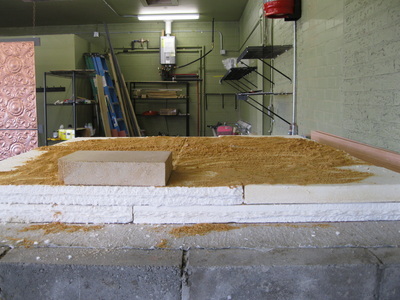 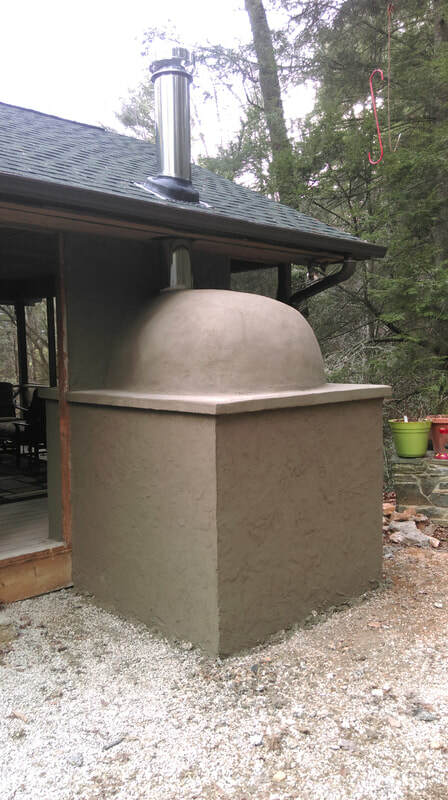 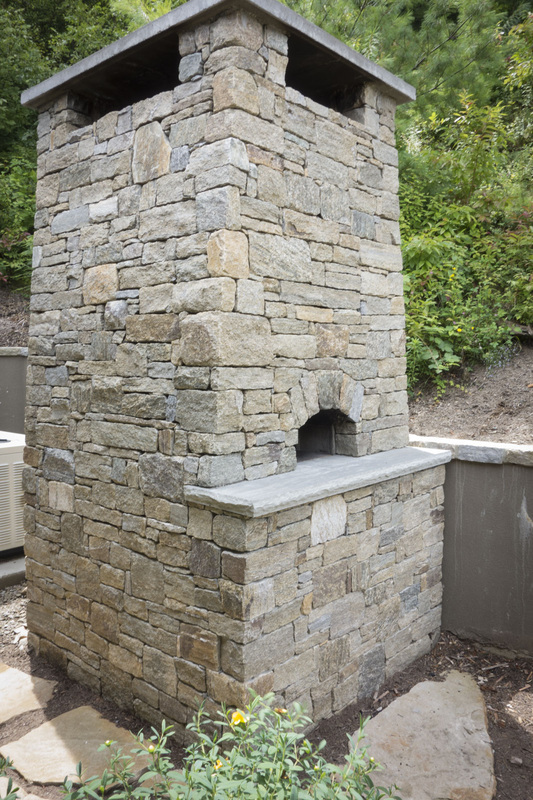 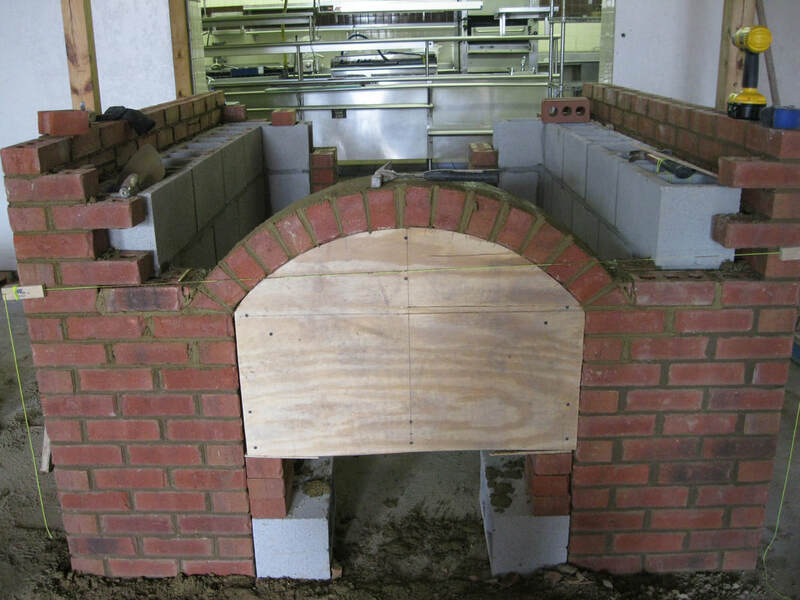 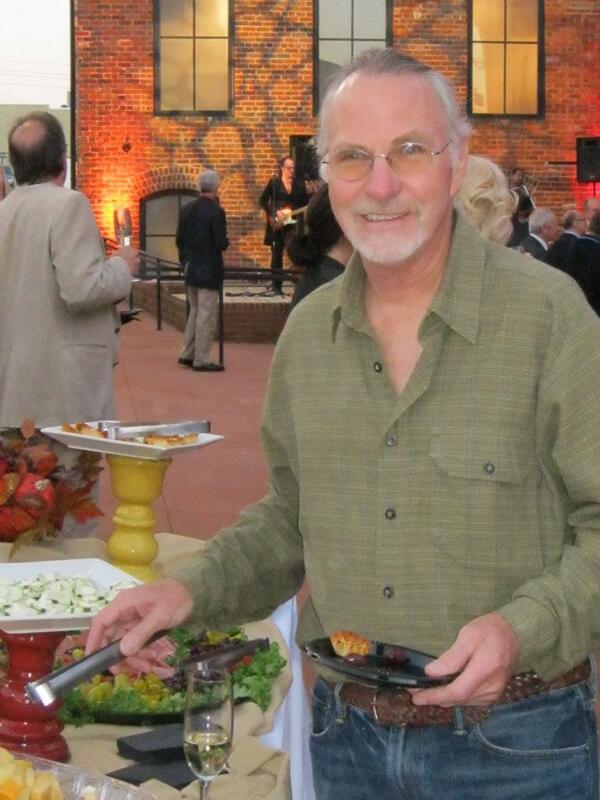 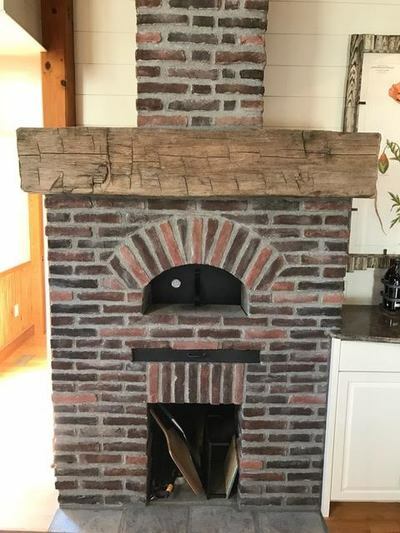 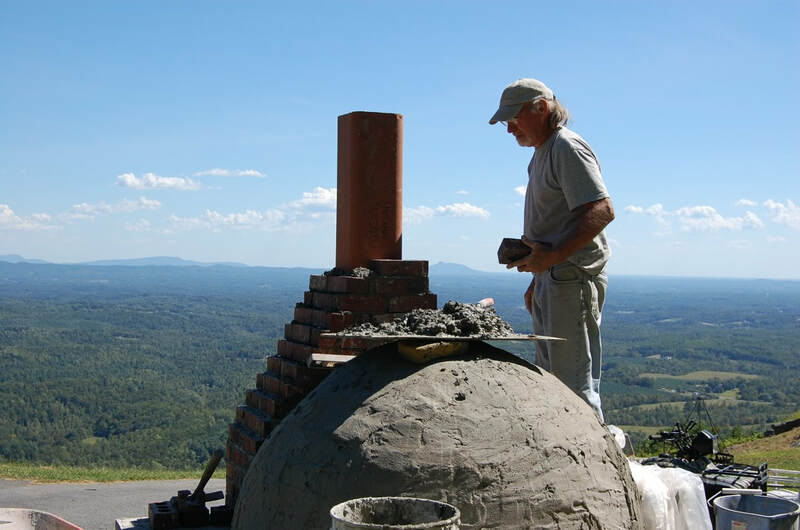 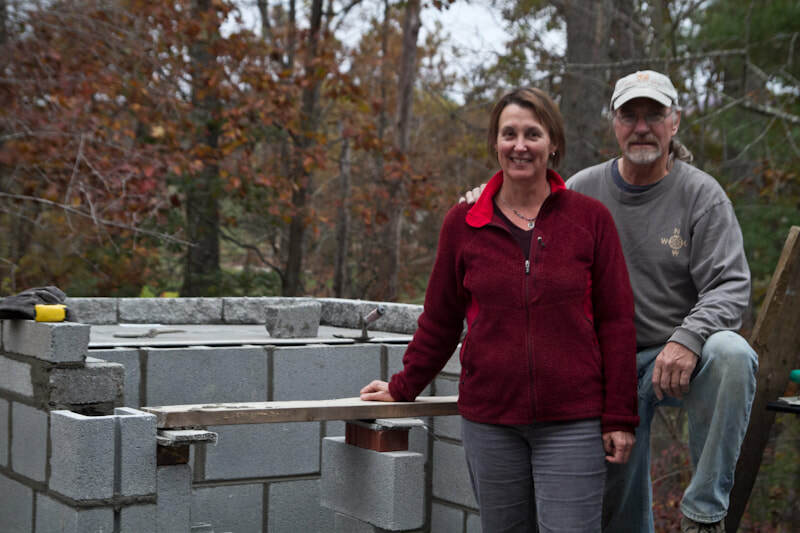 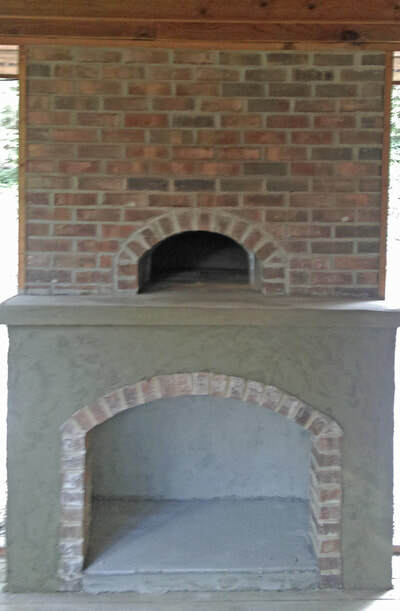 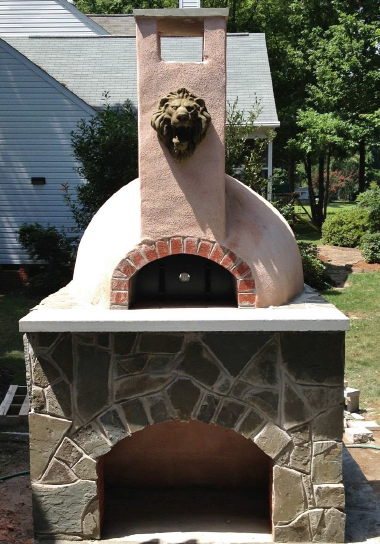 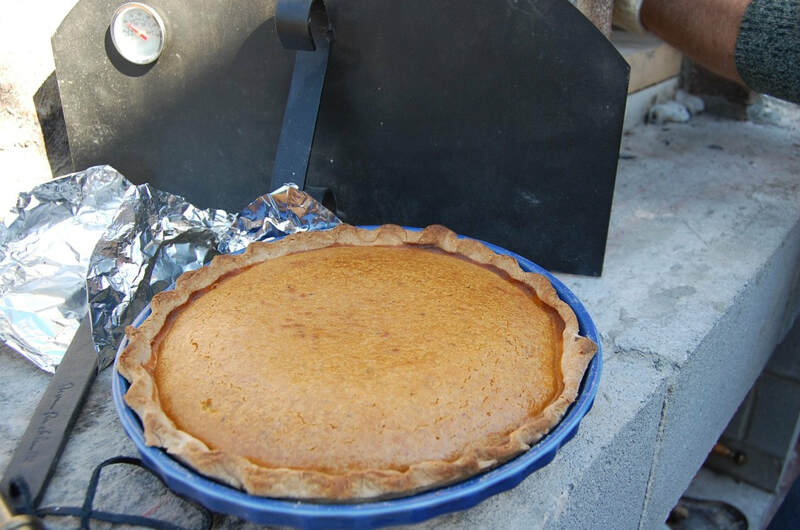 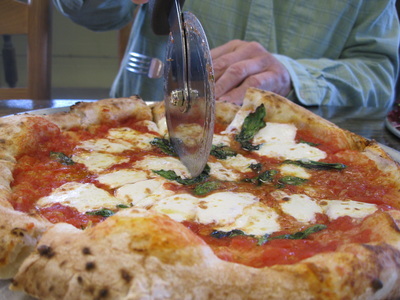 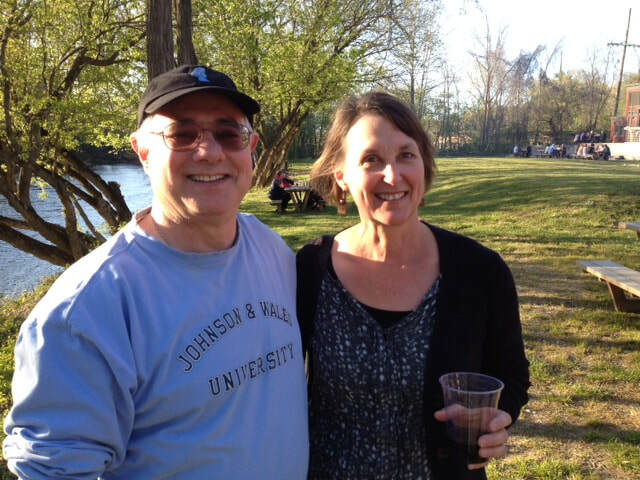 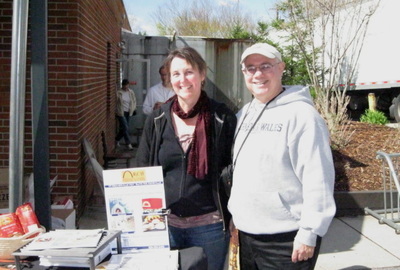 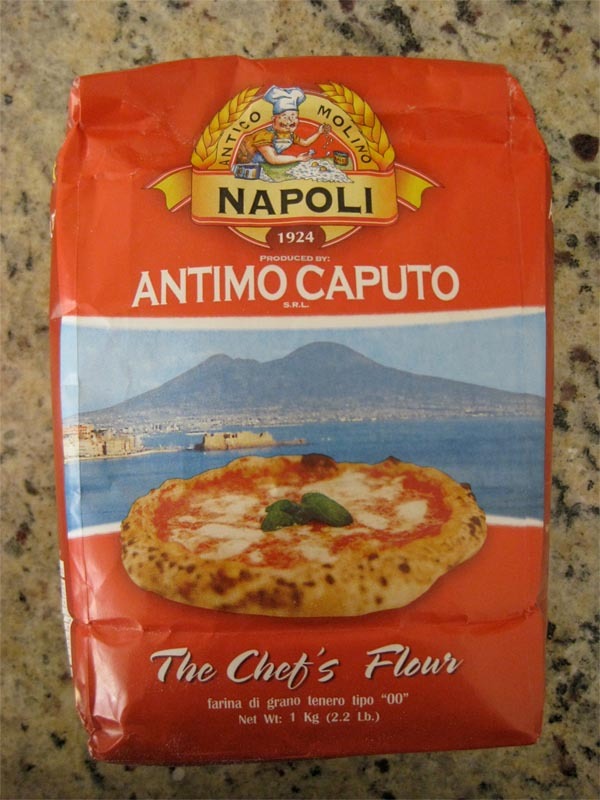 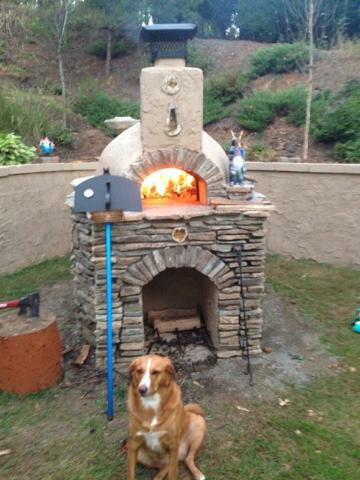 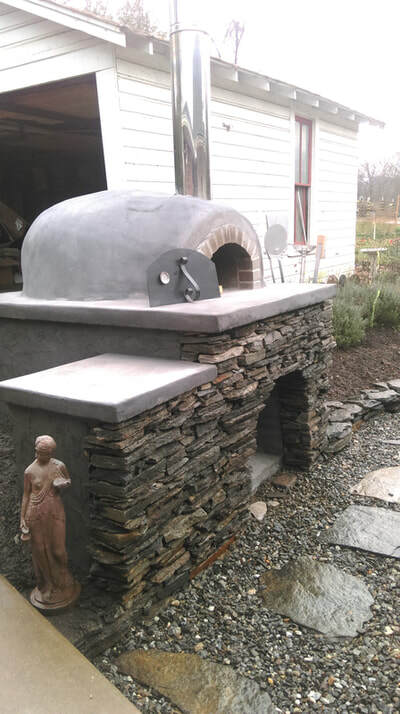 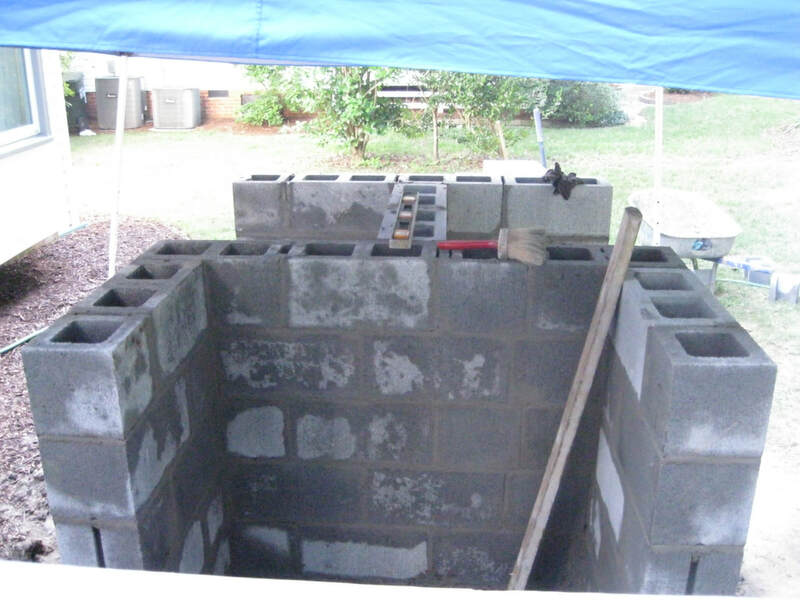 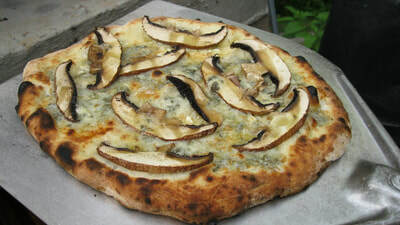 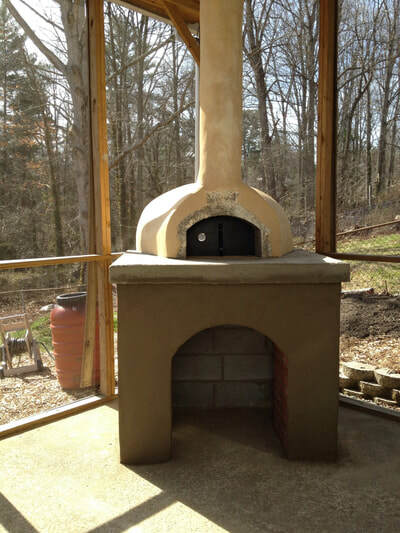 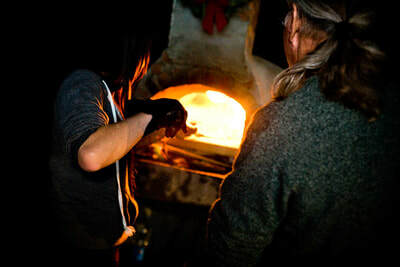 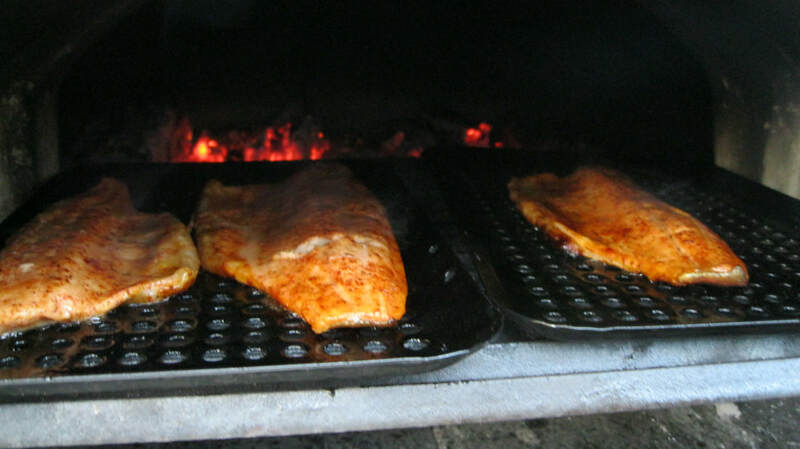 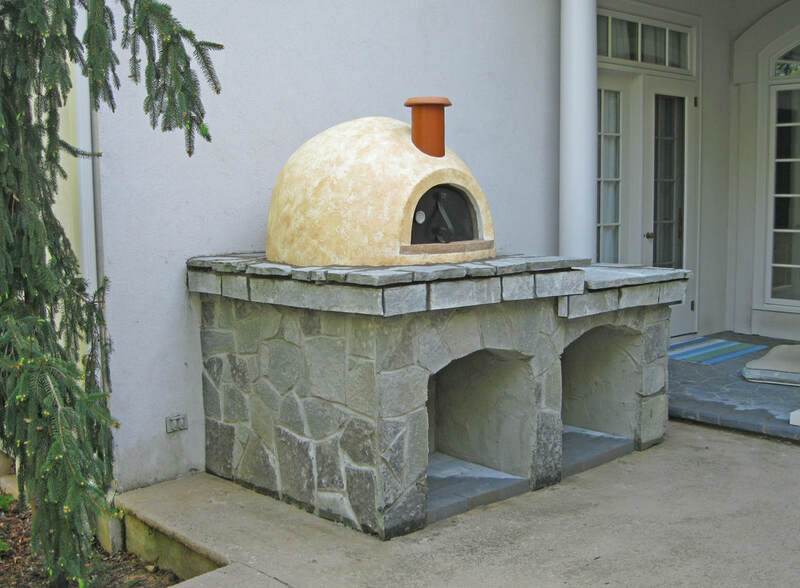 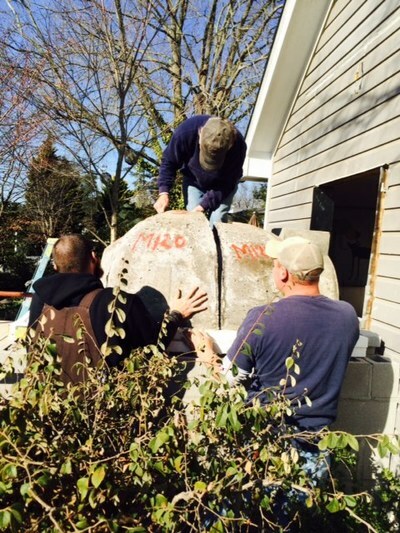 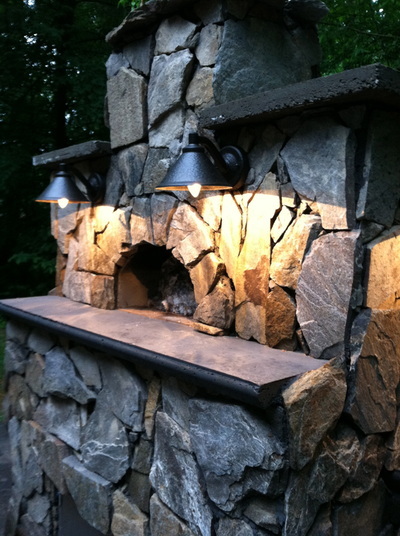 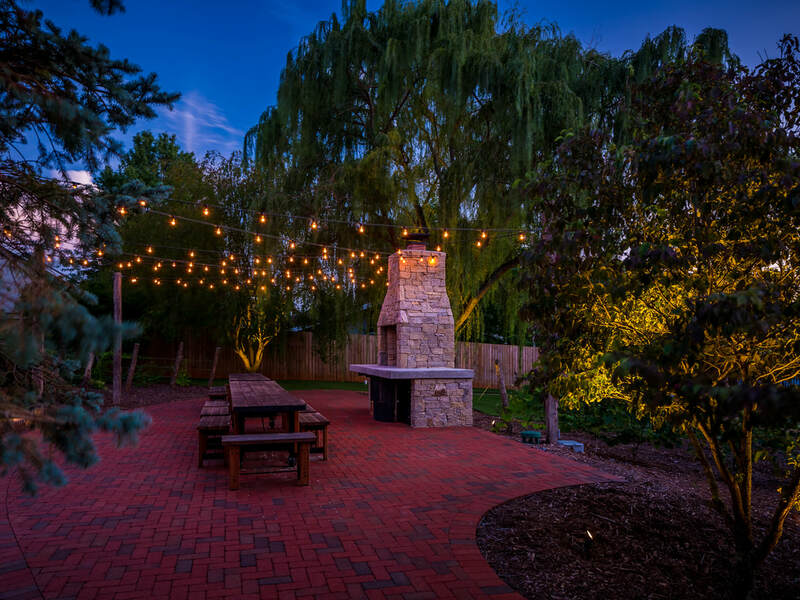 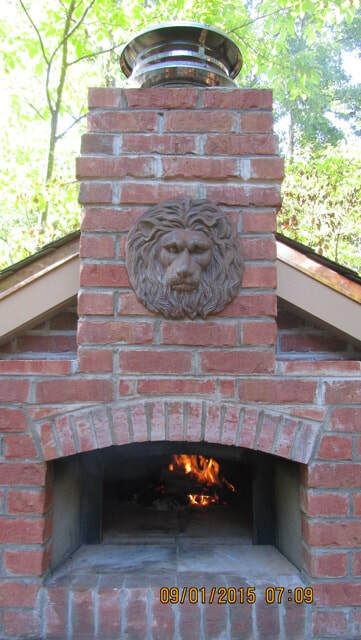 Jim has been a professional mason for over 35 years and as a lifelong mason and skilled artisan he would be happy to consult and/or be a part of your Forno Bravo oven project. 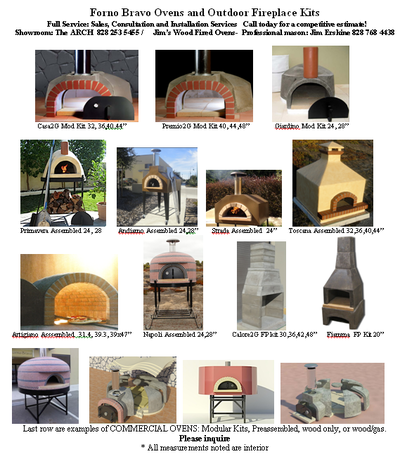 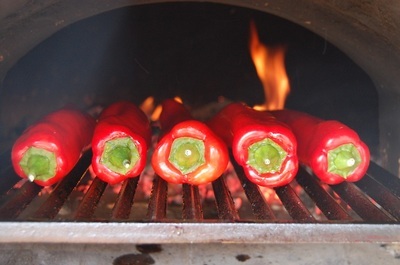 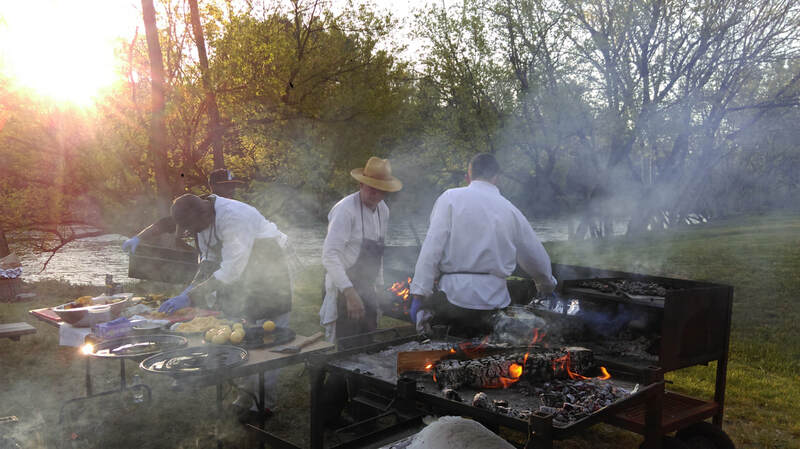 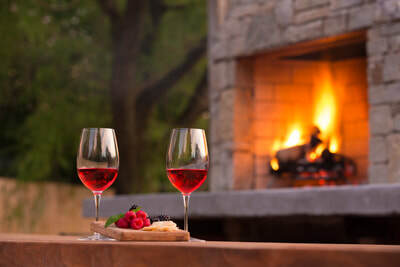 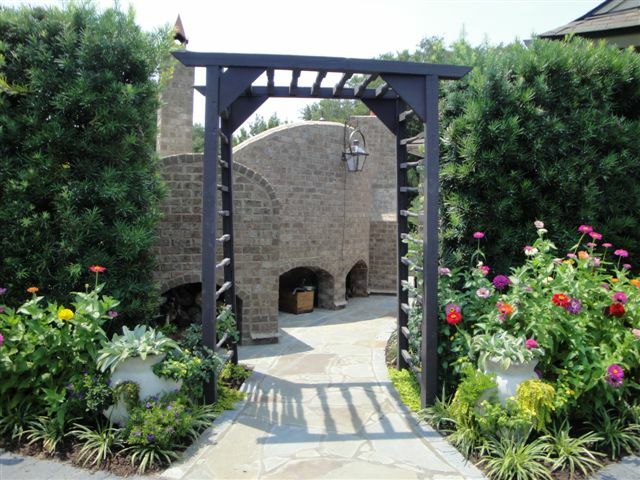 The Arch is a full service exclusive dealer for Forno Bravo ovens offering competitive pricing on all Forno Bravo and Bella Outdoor Living ovens. 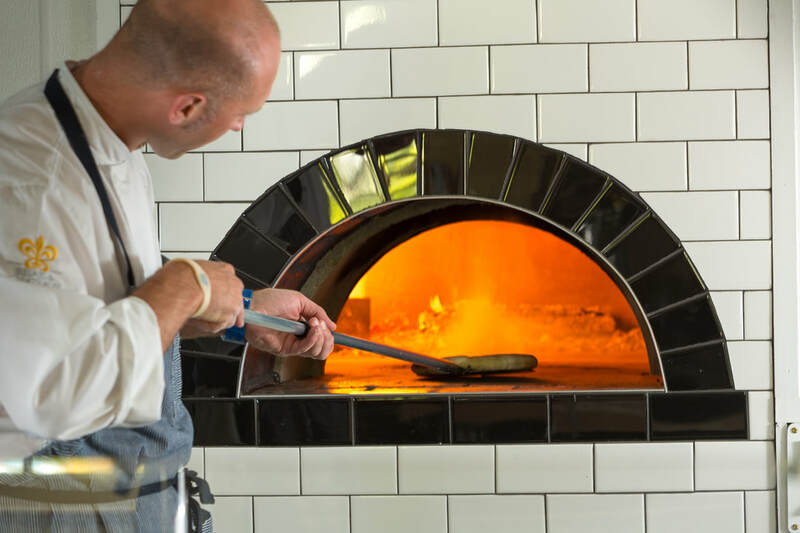 Whether your interest is residential or commercial, we invite you to call us so that we can provide you with helpful information and an estimate for ovens and installations. 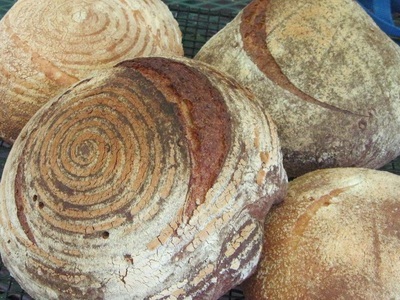 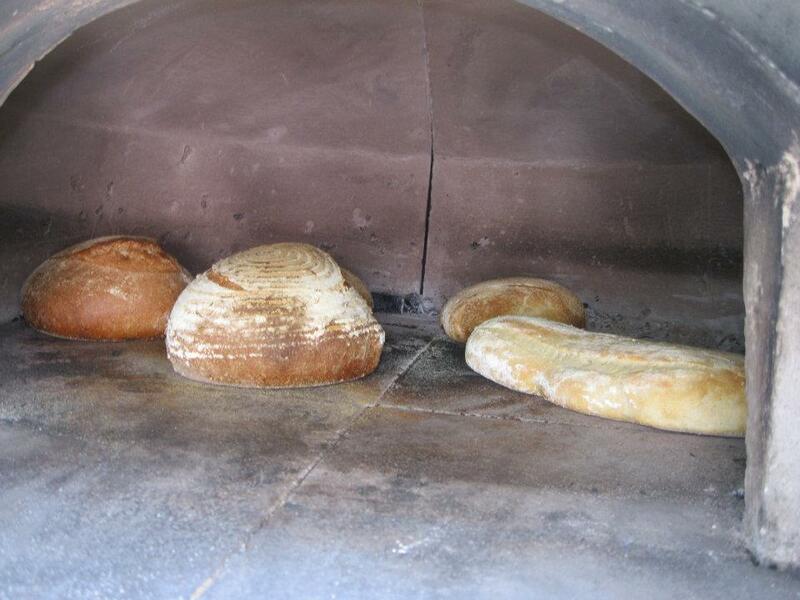 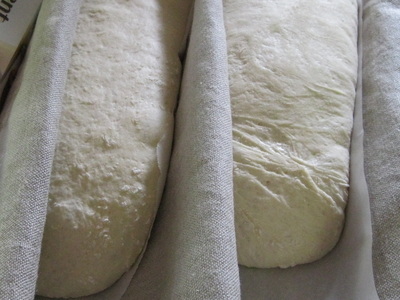 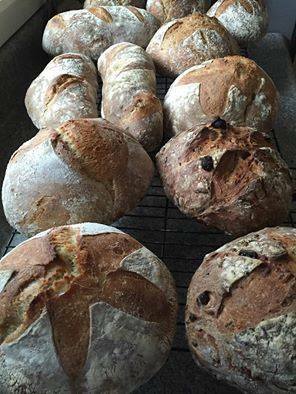 We are closed on Sundays and Mondays, so If you're kicked back eating some artisan bread that you're dreaming came out of your own oven please do not hesitate to complete the online form or leave a message and we'll be in touch! 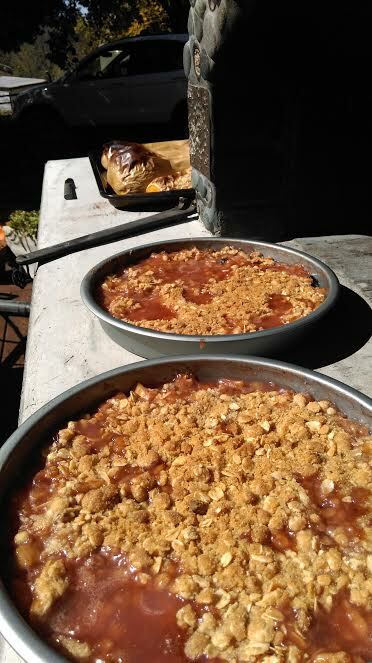 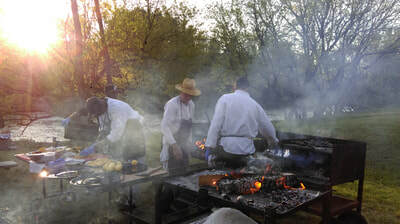 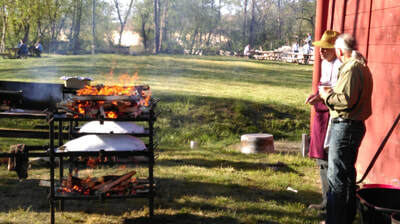 Note: Credit is due Tom Silver who has worked on most of these ovens with Jim but isn't noted in the text per photo. Thanks Tom! 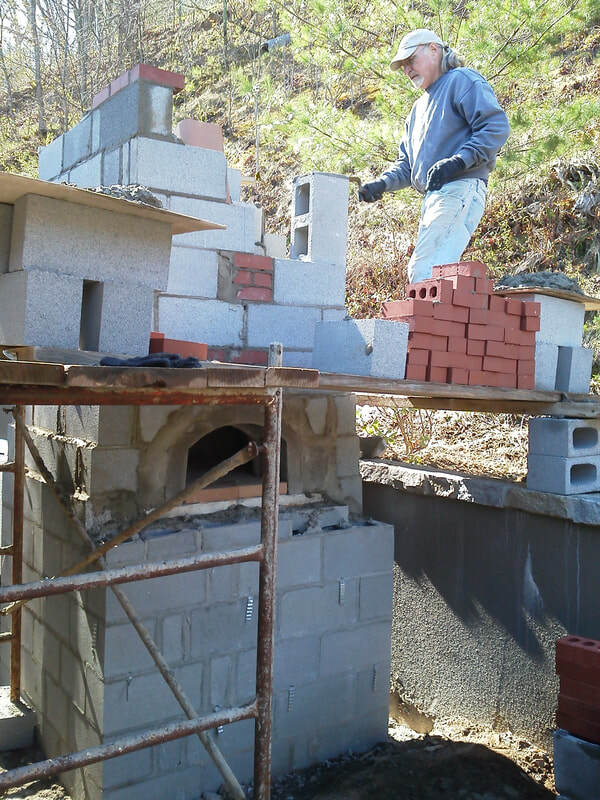 Also assisting numerous project has been another strong back: Zach Shumway Thanks Zach! Not Just For Looks... 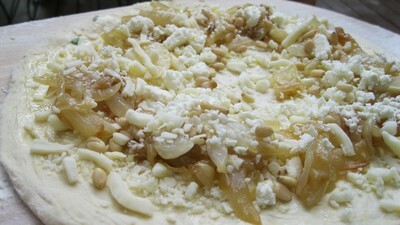 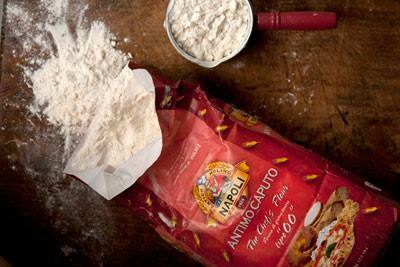 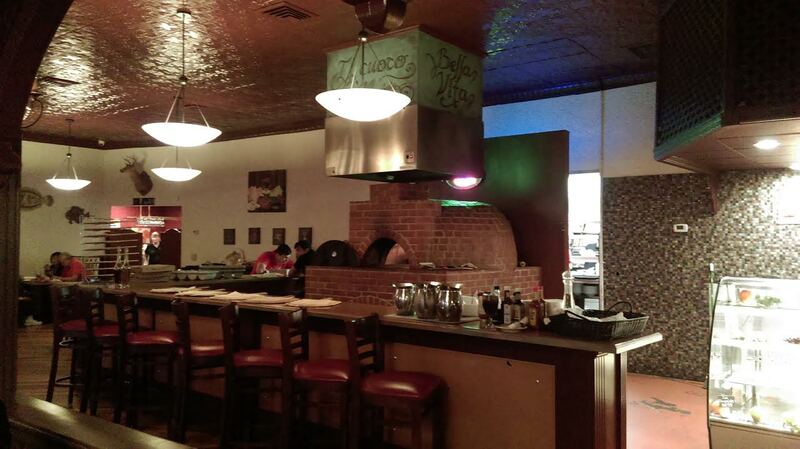 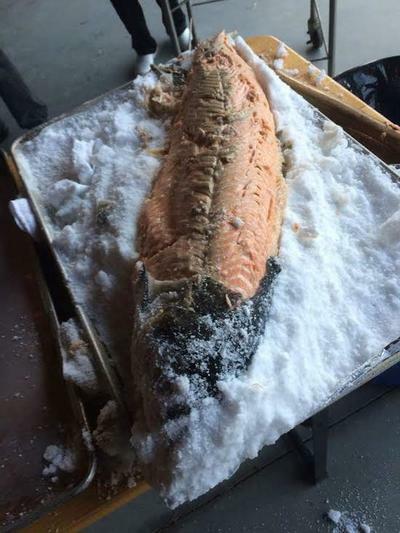 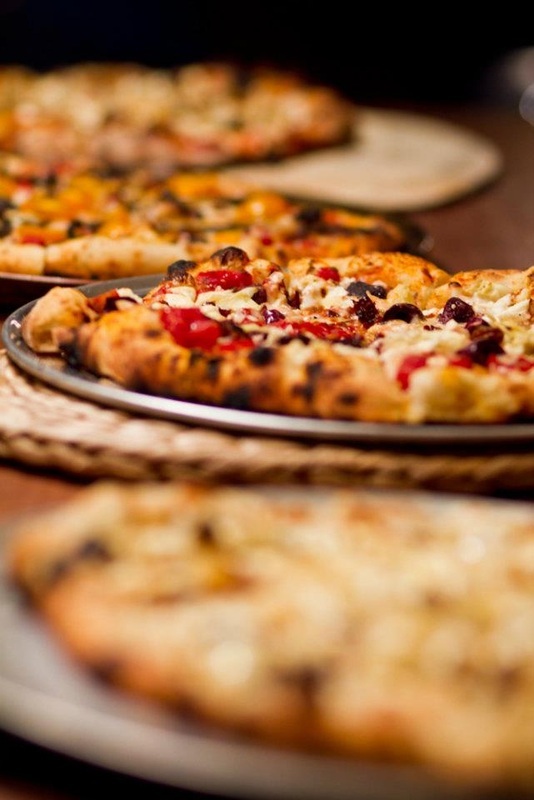 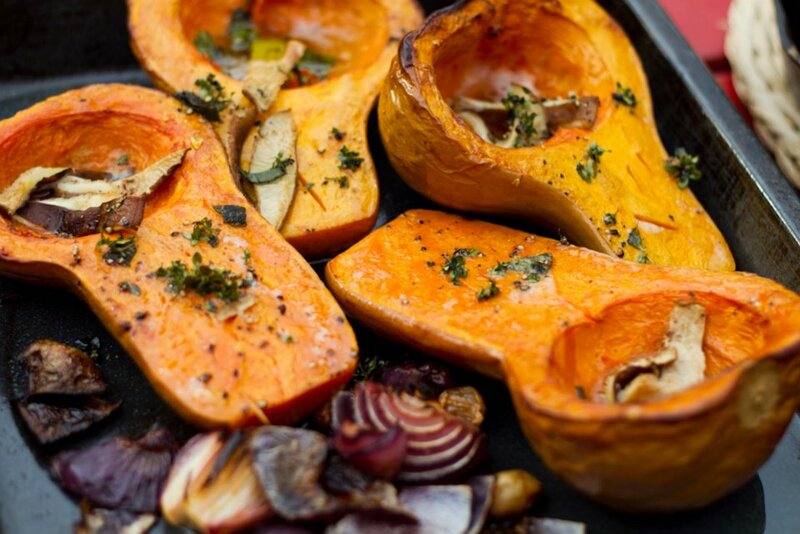 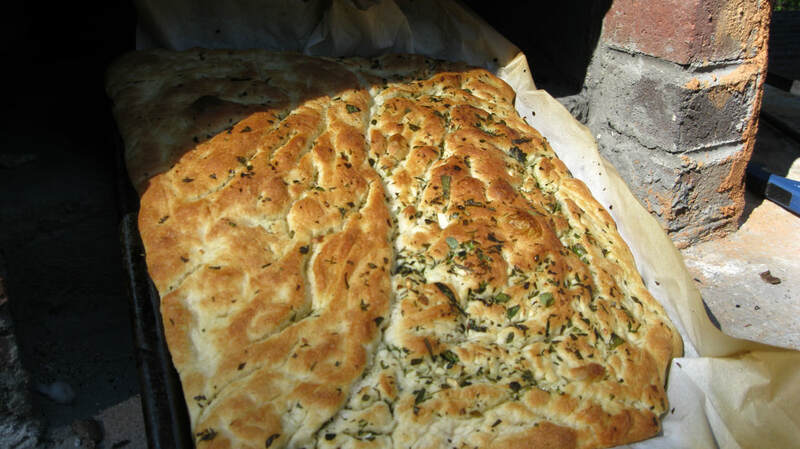 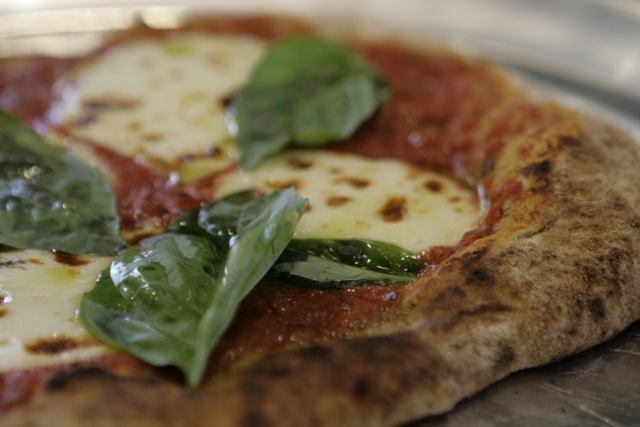 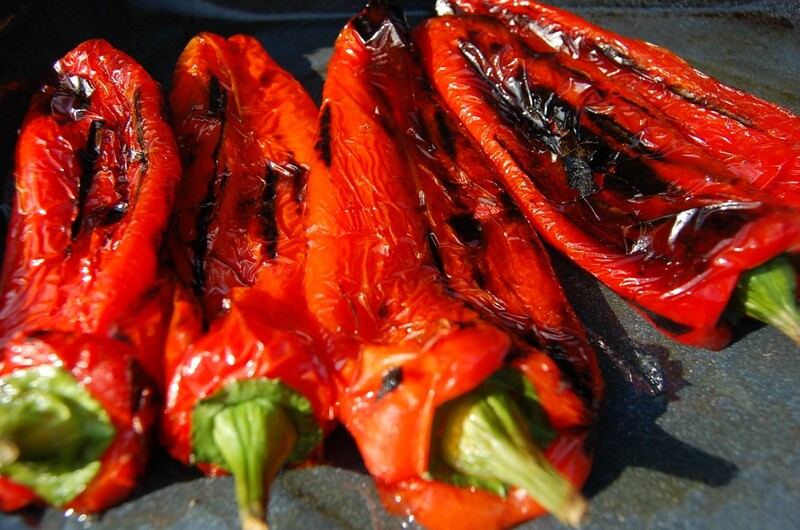 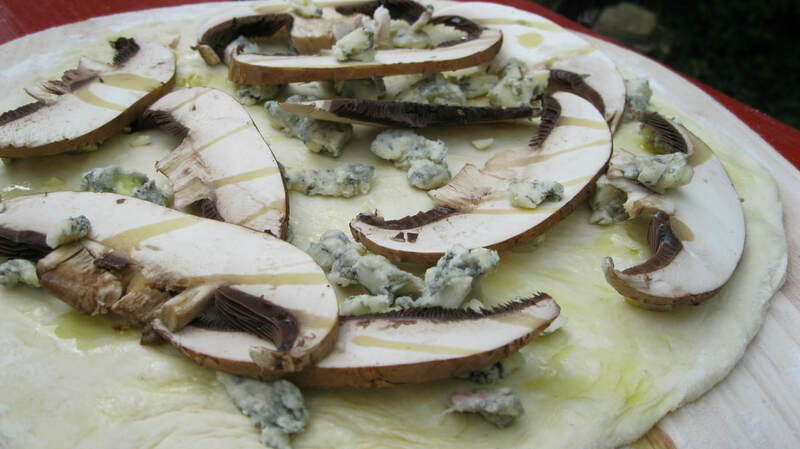 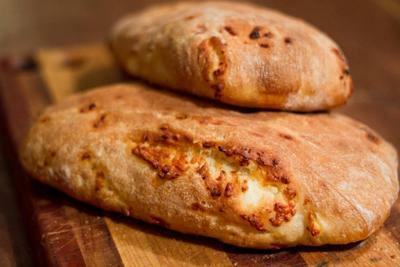 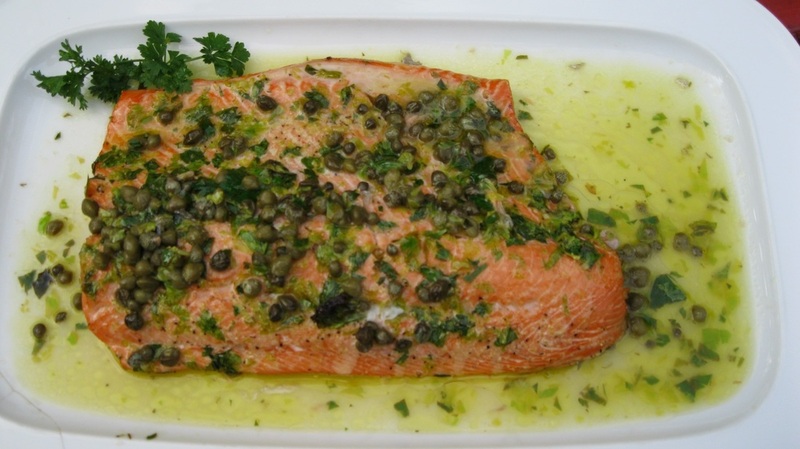 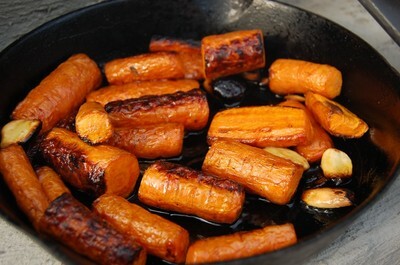 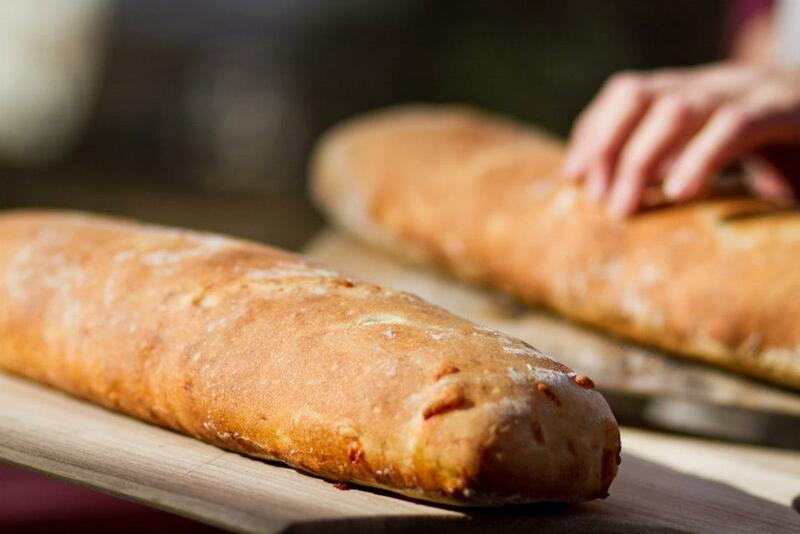 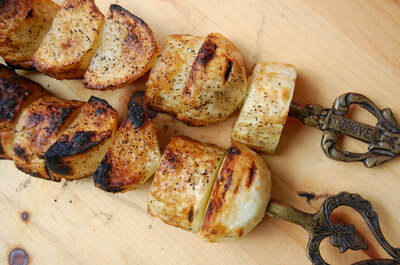 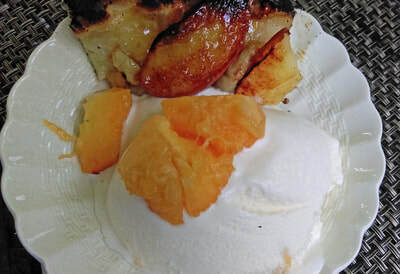 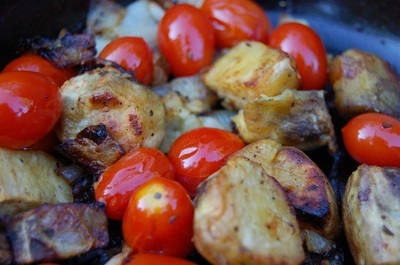 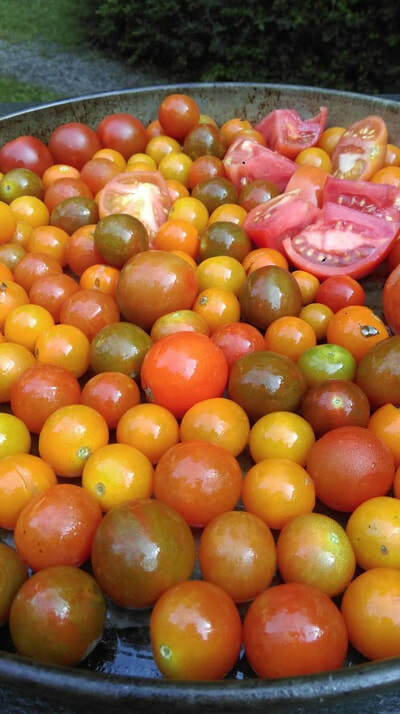 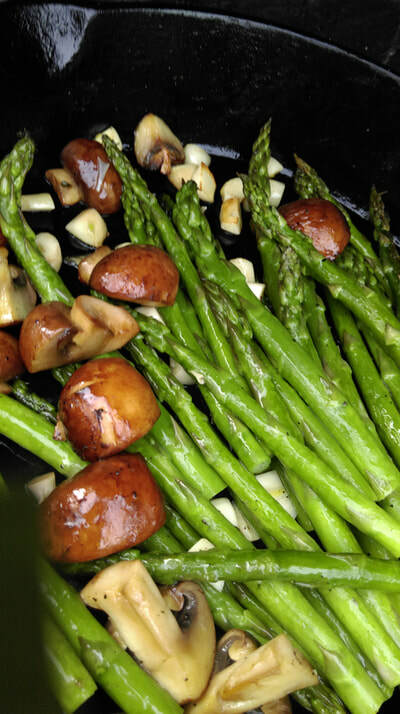 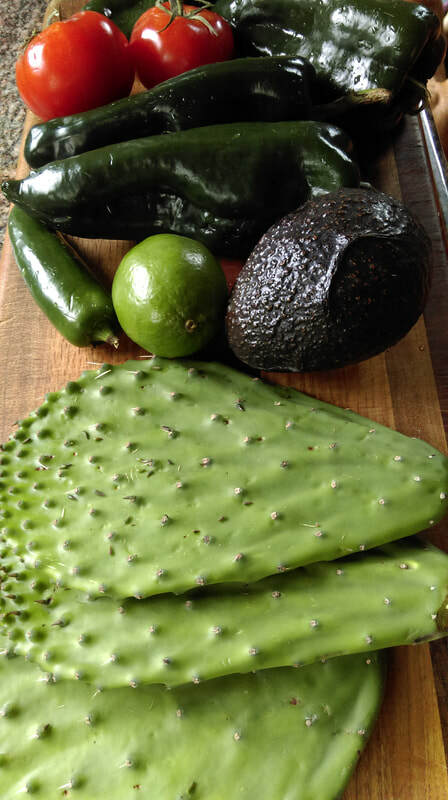 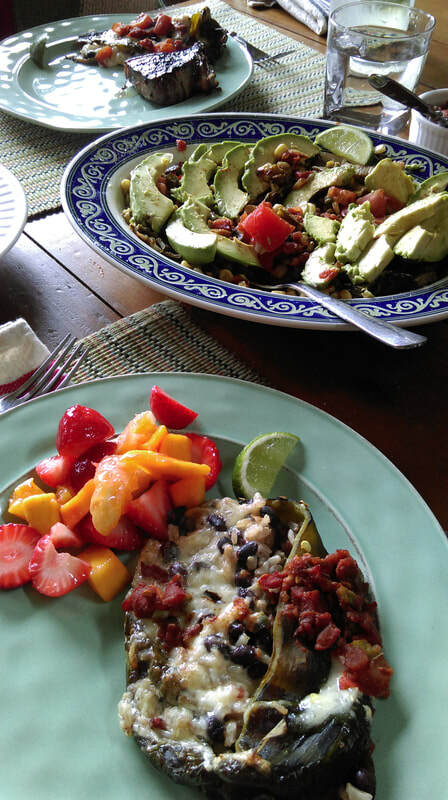 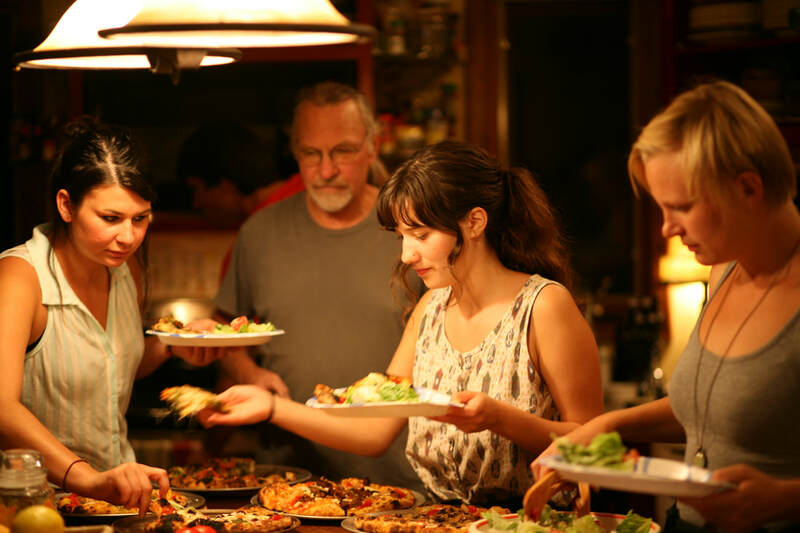 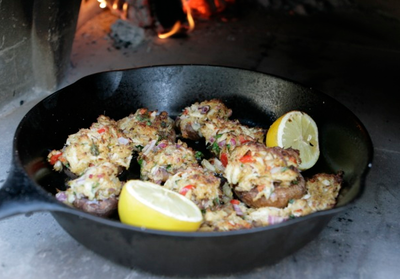 There's a World of Flavor from Forno Bravo Ovens!